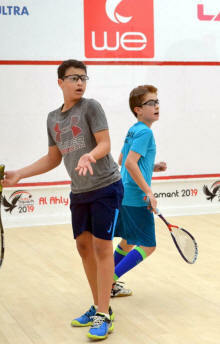 A Boys final that if you look at the score, seems a bit onesided between Seifeldin Dahshan and Ali Rahma. 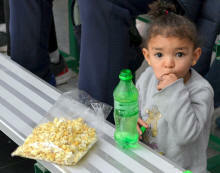 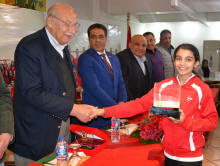 But it was a hard battle, with Ali fighting with every point, and even down 2/0, came back flying from the blocks, 5/0. 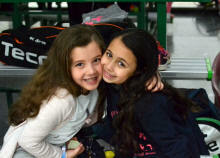 The girls' match was longer, 39m, and was intense too, the score does tell the story on that one! 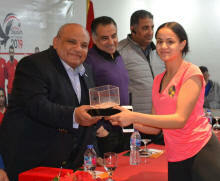 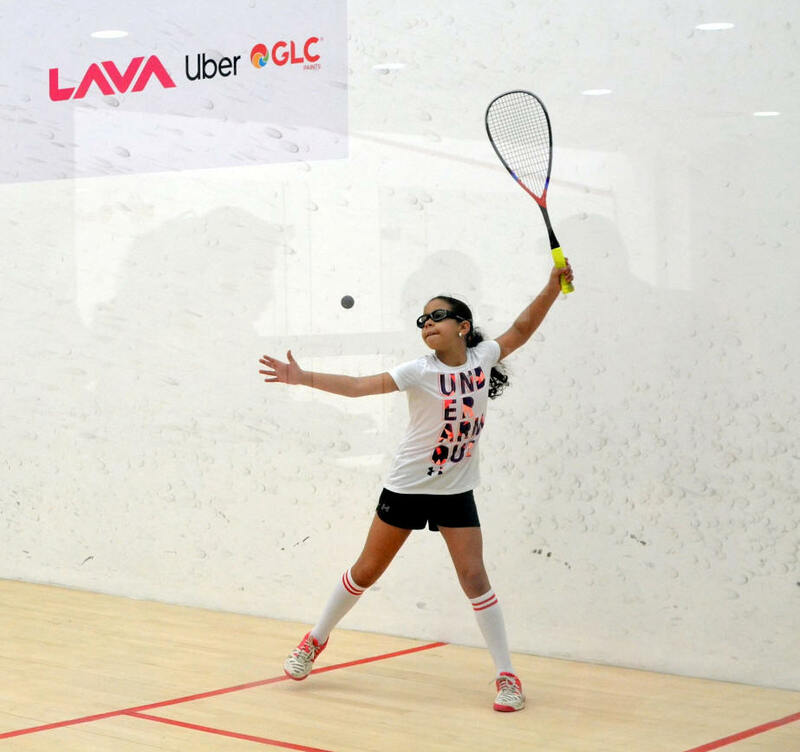 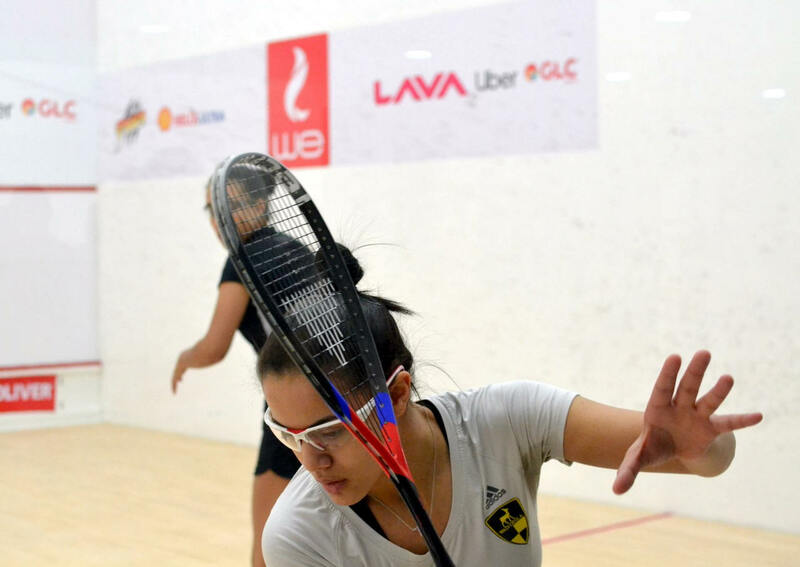 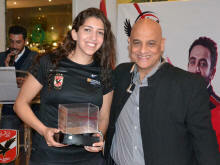 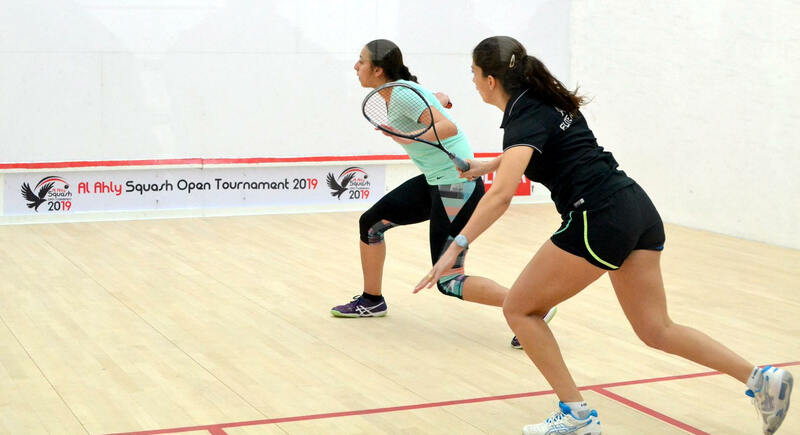 Farida Walid Khalil went up 2/0 against lefthander Rokaya Selim, who managed to grab the second one, 11/8. 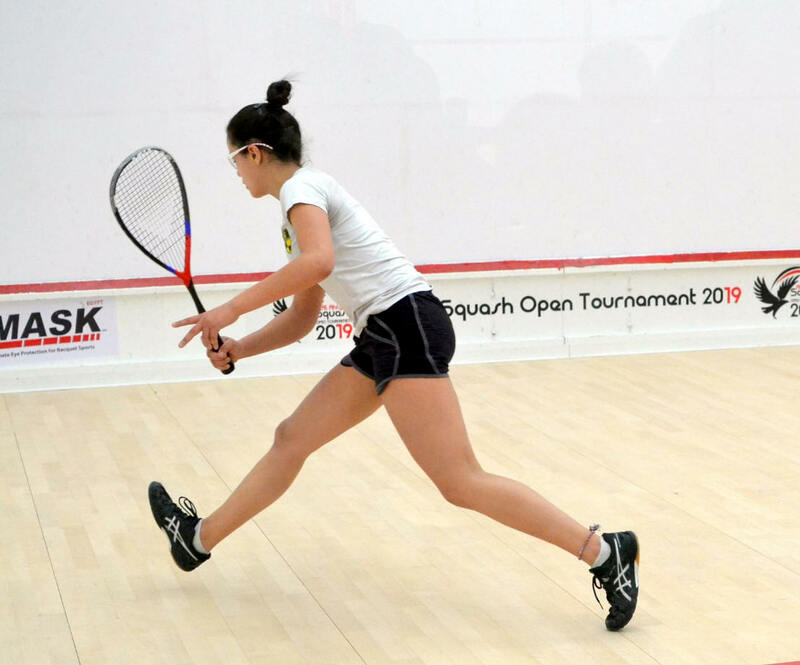 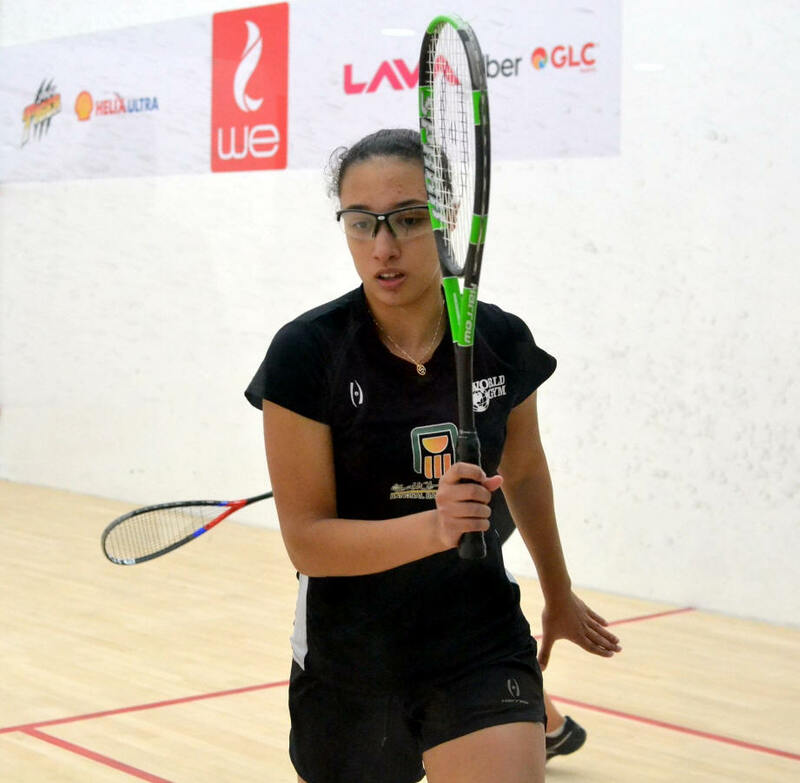 A good and solid match from the BJO Champ Amina Orfi against Malak Aly, who started really well today, leading 6/4 and 9/7 in the opening game. 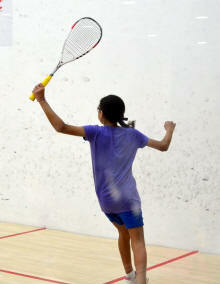 A big push from the favourite, who takes the next 4 points. 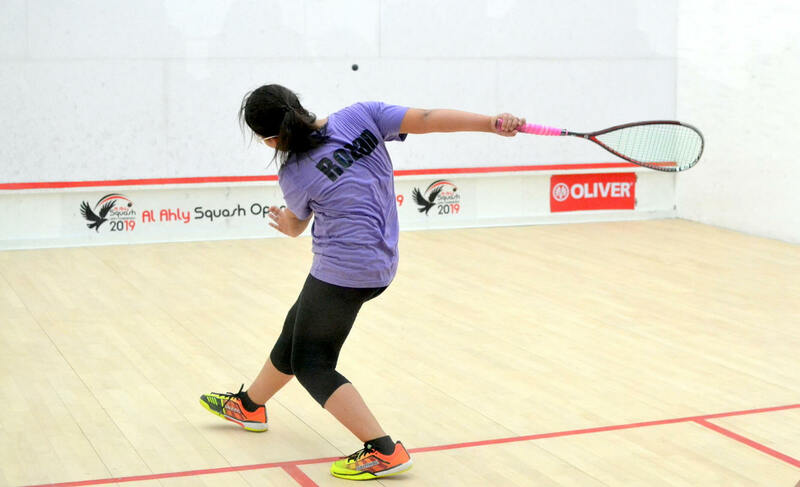 Good and balanced second game, but Amina a couple points ahead to rush for the finishing line, 11/5. 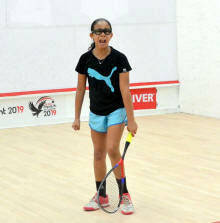 The third sees Malak coming back very strongly, lead 5/3, 8/7. 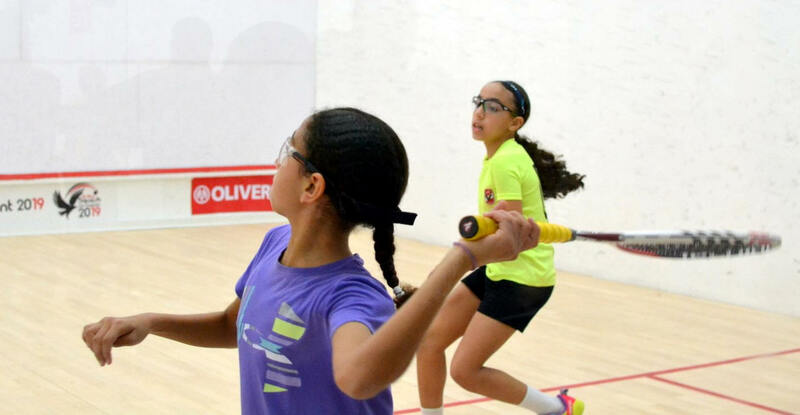 But again, like in the first game, it's Amina that grabs the decisive points, 4 points in a row, 11/8. Now, for the boys, it would be hard to get a closer score to be honest! 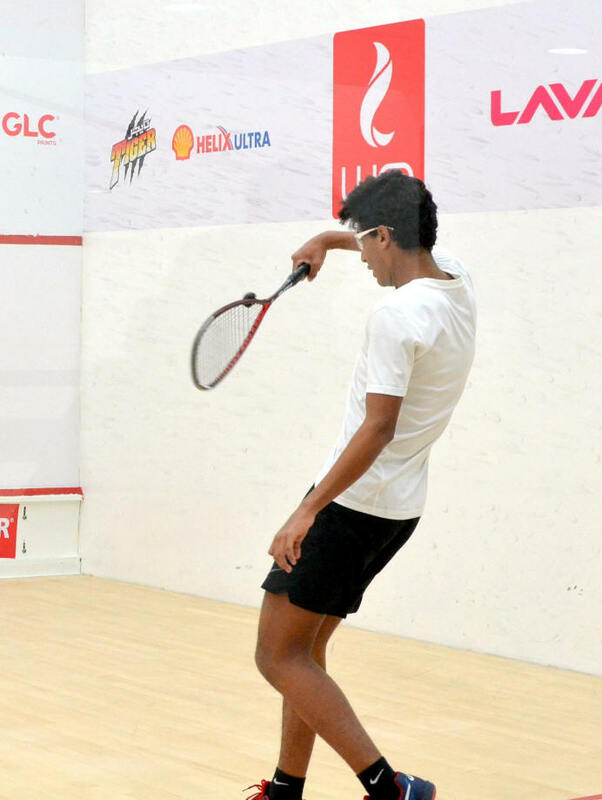 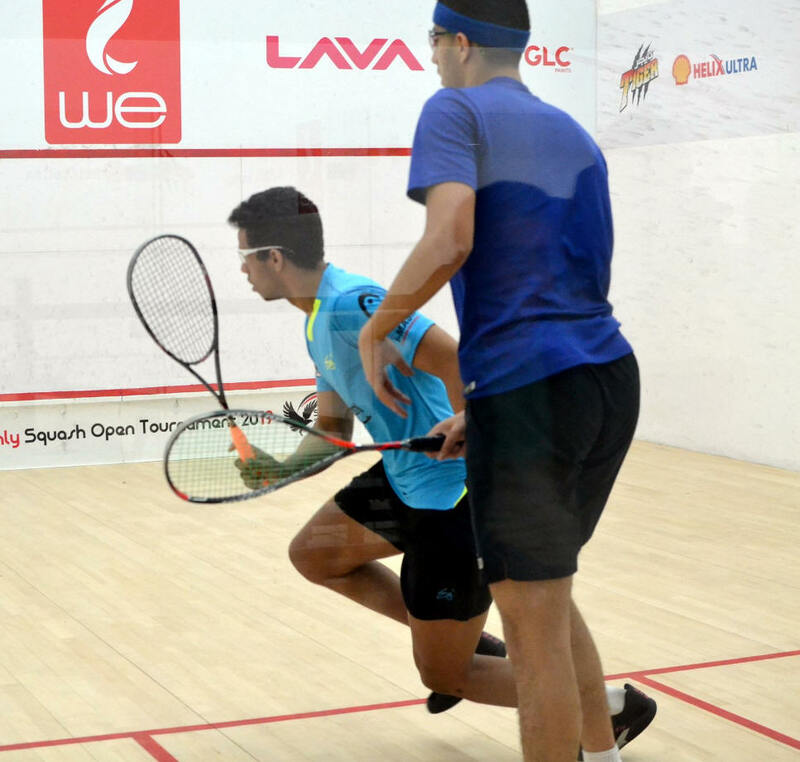 Mohamed Hassan Zacharia was up in the 1st, 10/7, only to see Yosef Salim back with a vengeance, but managing to grab a crucial opener, 12/10. 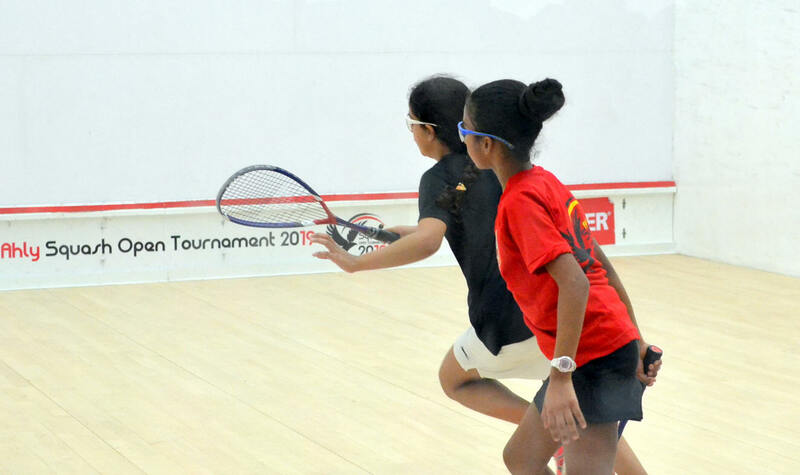 What a match between the two U15 girls today. It had it all, suspense and intensity, not to mention superb squash from both. First game was incredibly tense, with both girls getting a chance to close it, but it's Haya Ahmed that takes the first one, 13/11, only to lose the next one again fiesty and close, 12/10! 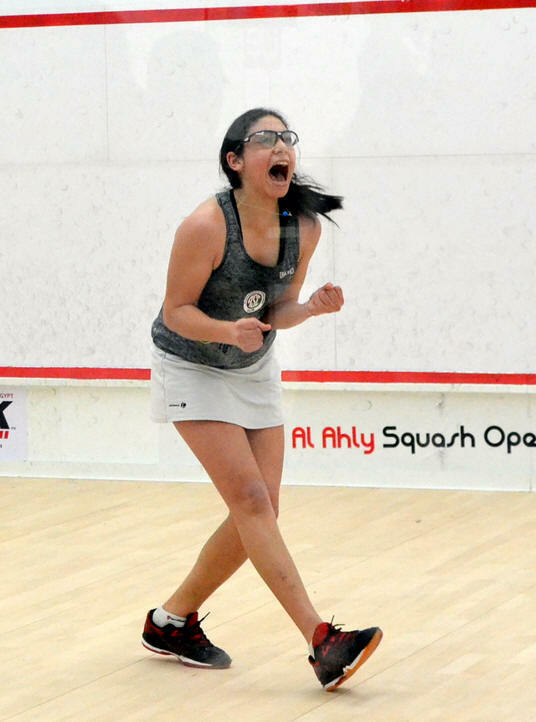 When she takes the third 11/2, looks like the writing is on the wall, and that's it's all over. 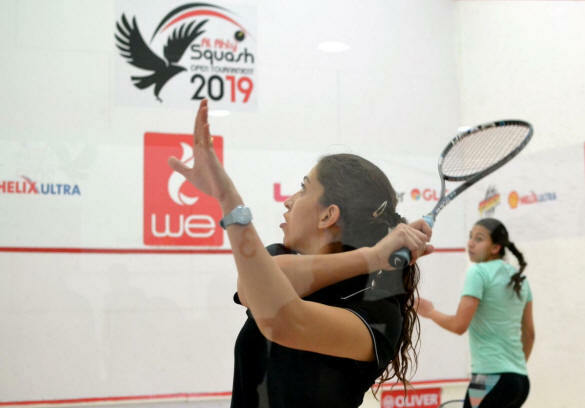 But that's the moment Fayrouz Abou-Elkheir choses to play her best game, finding perfect length and stunning accurate drop shots/volley drop shots, to which Haya coudln't get a response to today. 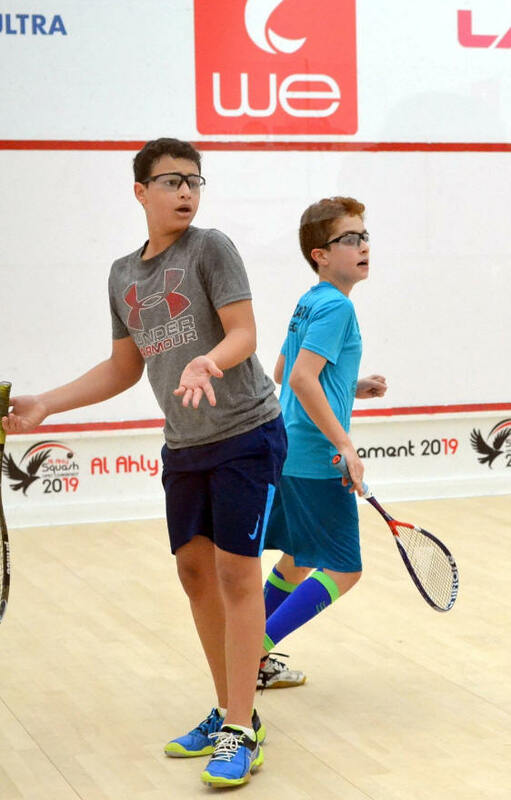 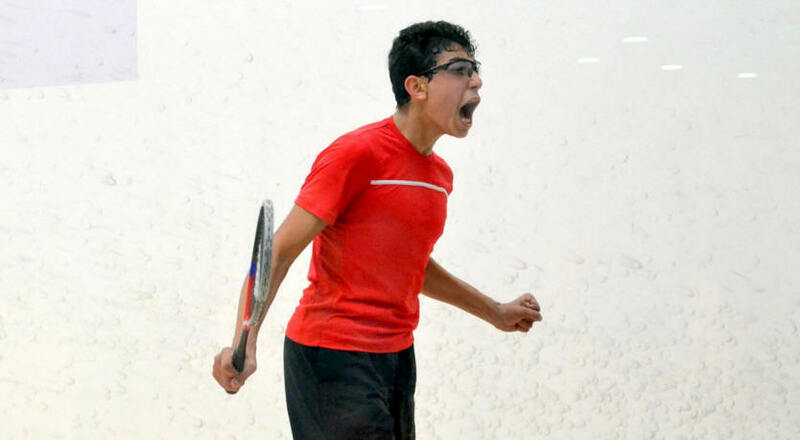 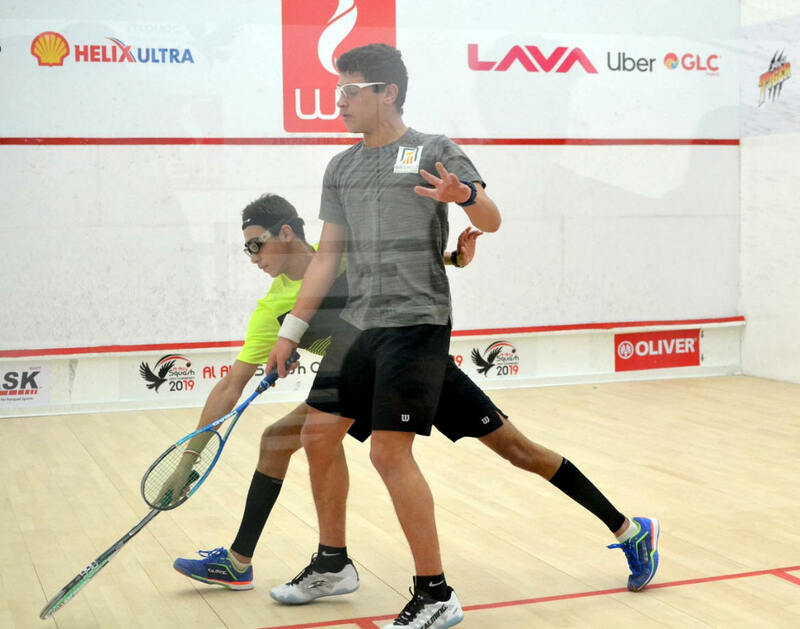 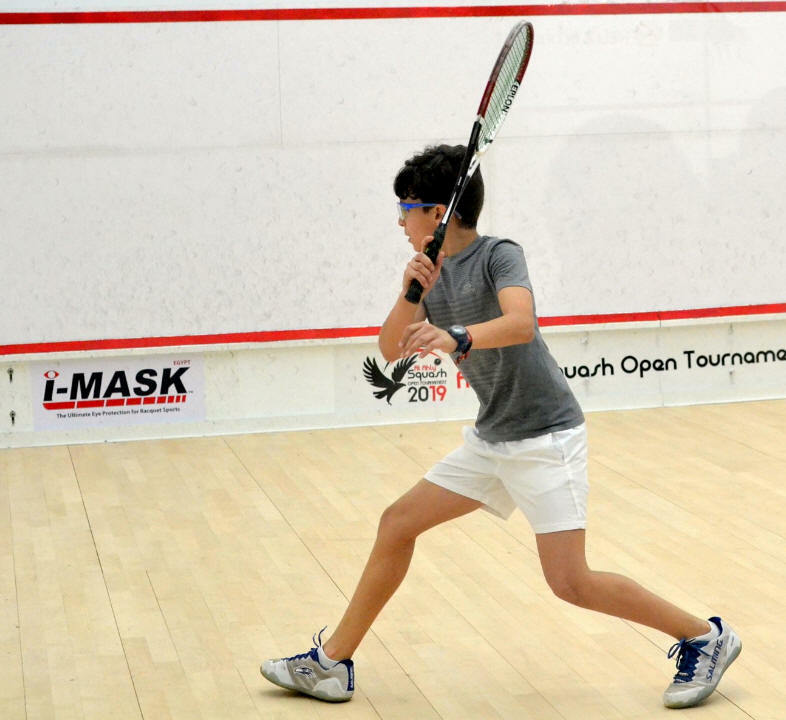 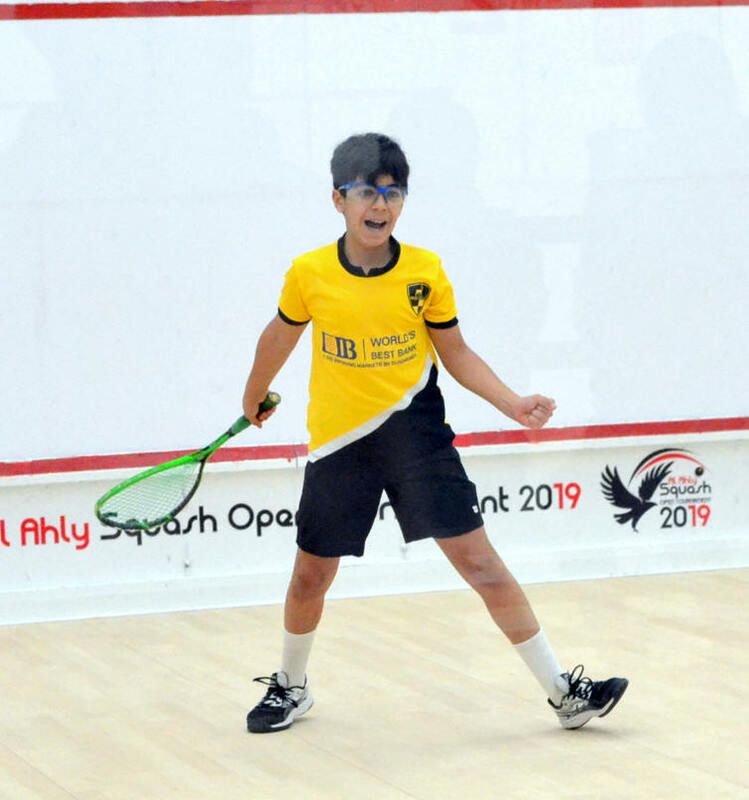 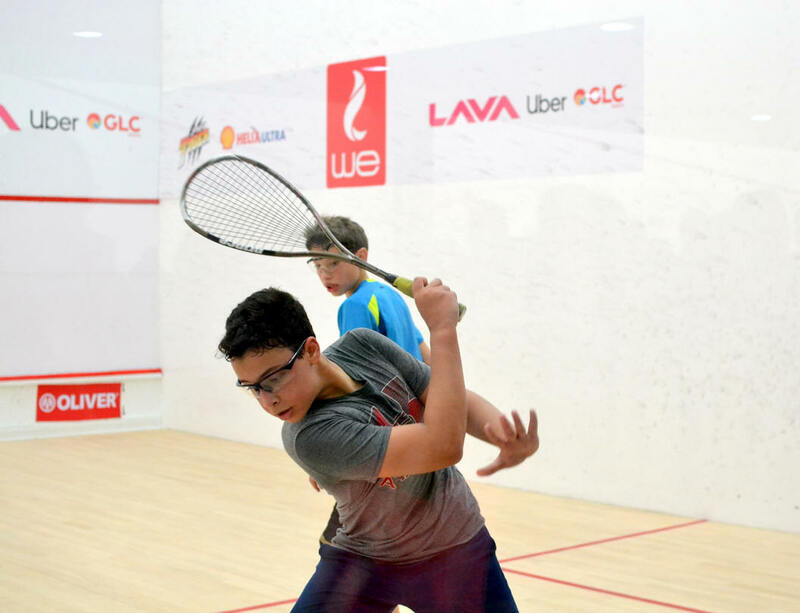 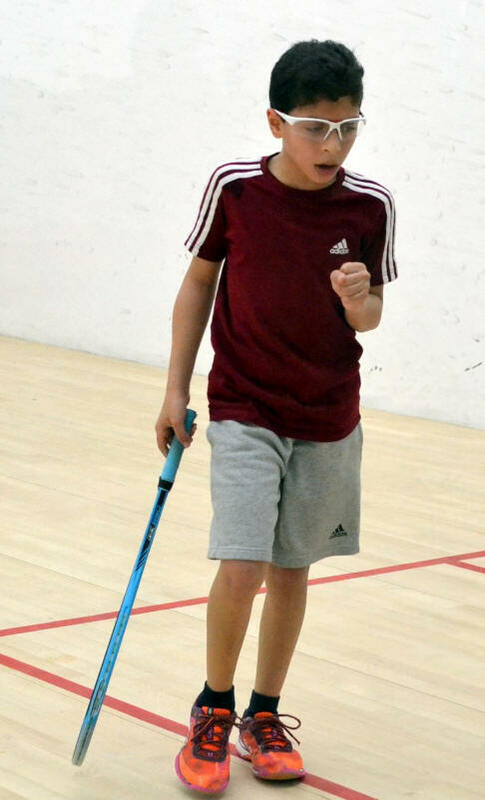 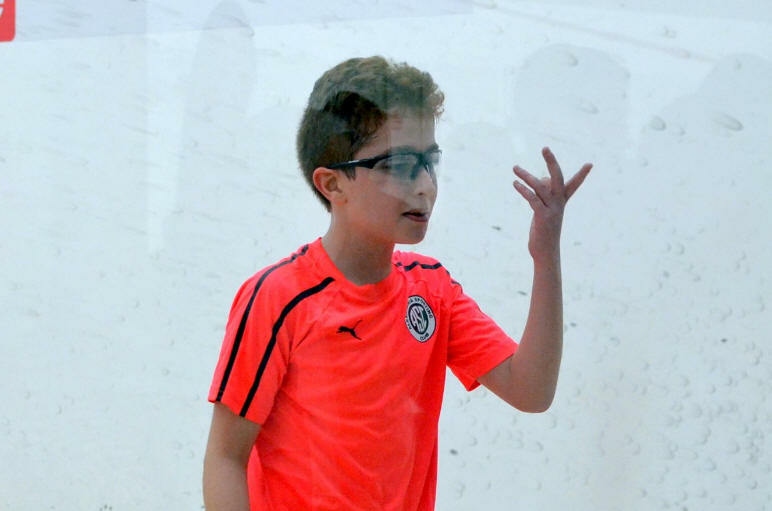 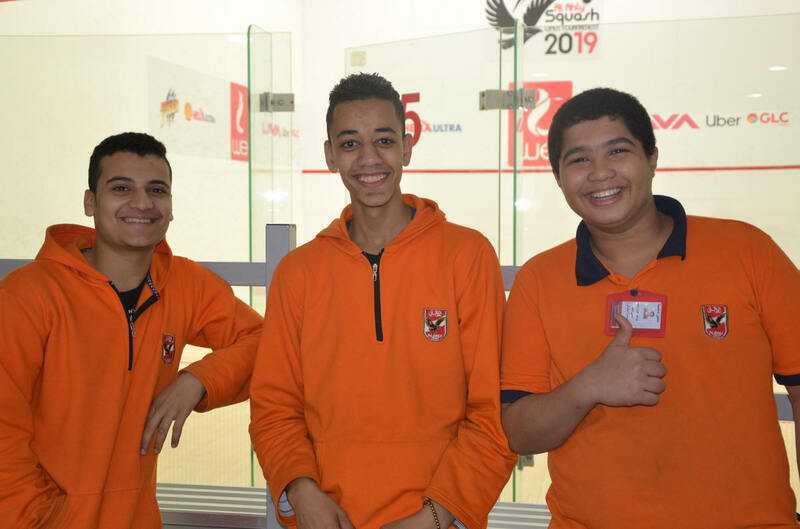 As for our U15 Boys, very long match - the longest of the tournament so far - with Sohail Elshenawy losing the first game, to take the next three. 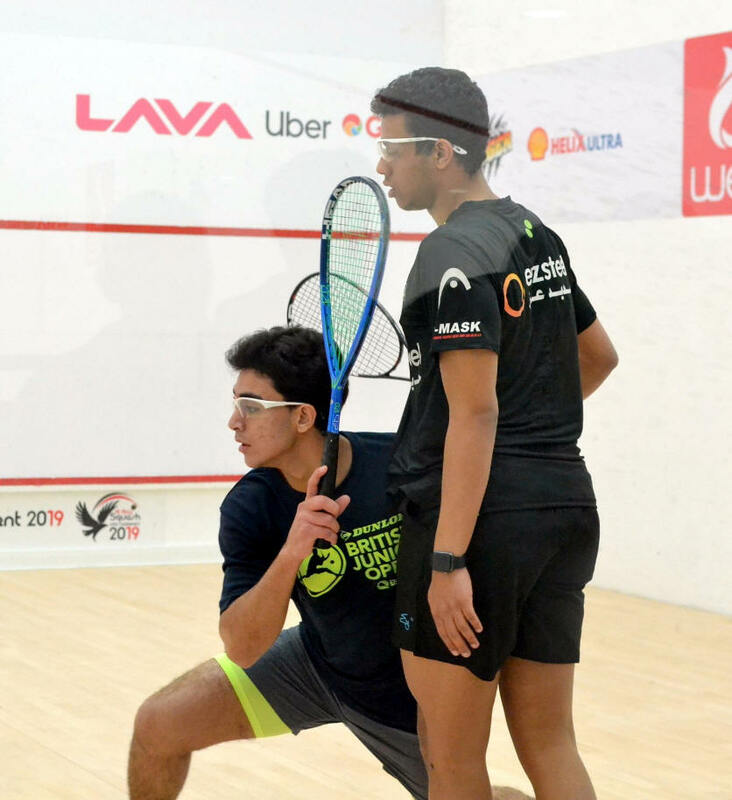 Sohail was down in the 4th, 4/7, 5/9, only to claw back to prevent Abdalla Amr Hafiz to force a decider, closing down the fourth 11/9, scoring the last 6 points of the match. If Salma Amr was a bit slow off the blocks today, my she made up for it in the last two games, which could have gone either way. 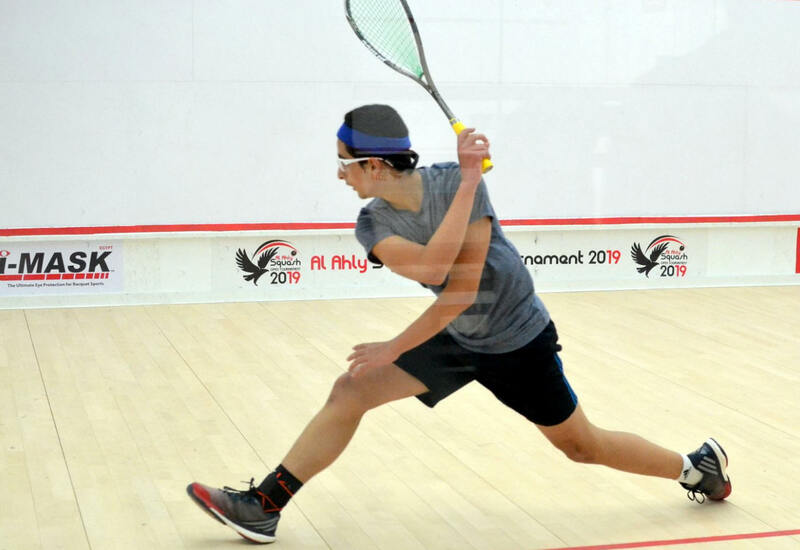 She had a chance to take the second one, that would have been a different kettle of fish, 1/1 instead of 2/0, but I feel that the confidence and experience that comes from Sana Mahmoud's racquet probably made the difference today. 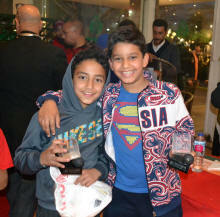 Now, the boys... 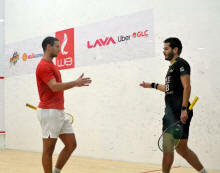 This was the best match for the tournament in my book. 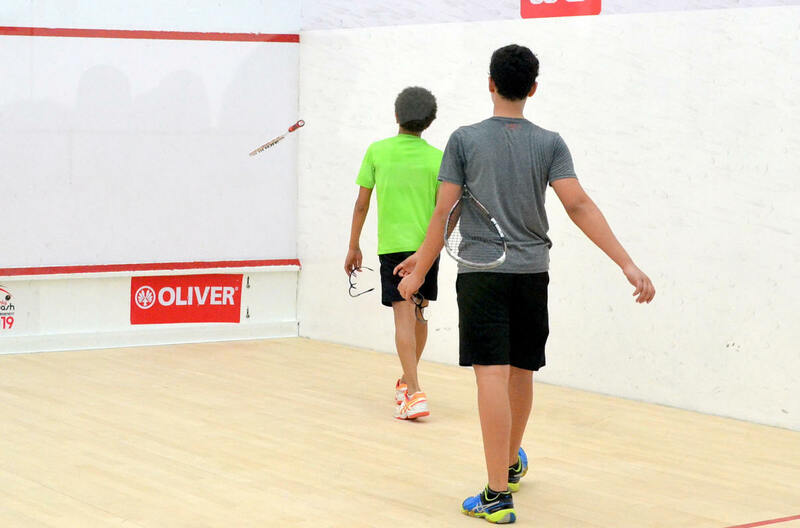 Those two played a very mature squash, never falling in the "let's find the nick quick" trick. 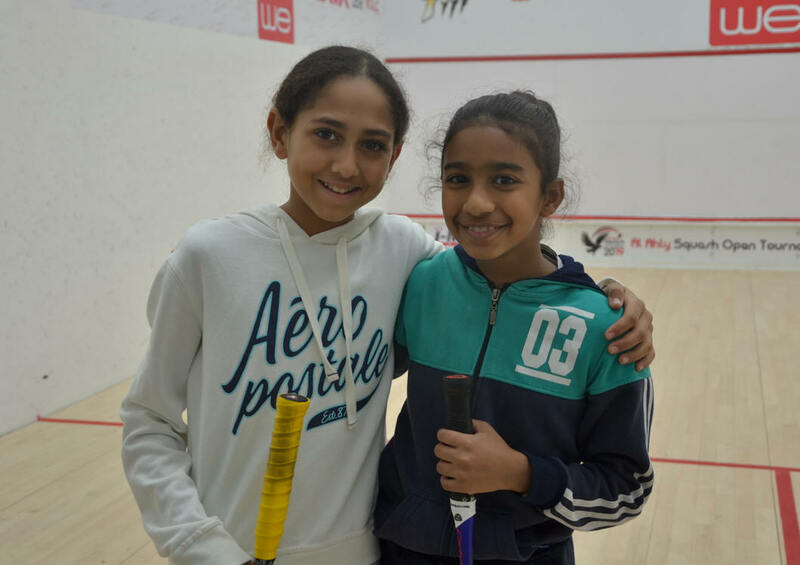 They were as patient as two Pontefract players - that is the best compliment I can ever make. 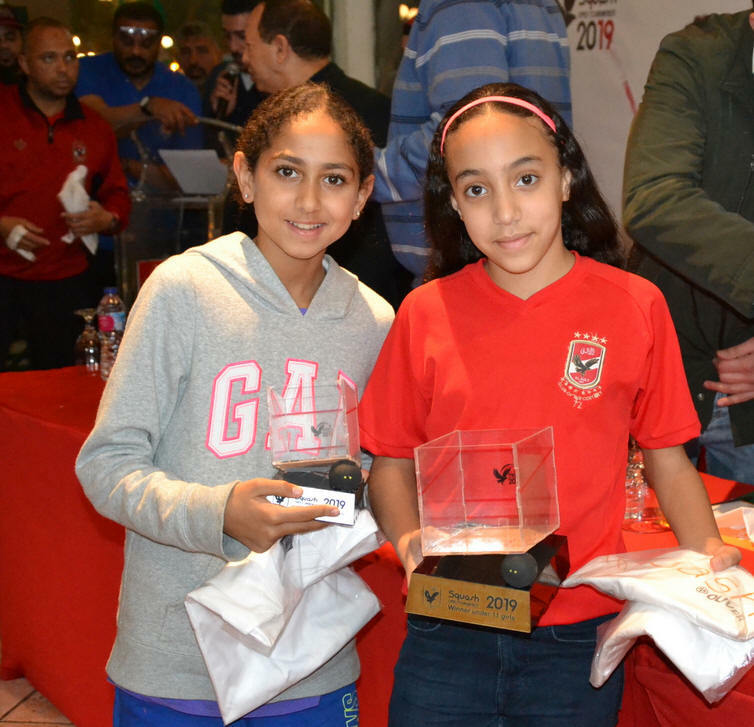 They were fair, they were fast, accurate and as mature as their young age would permit. 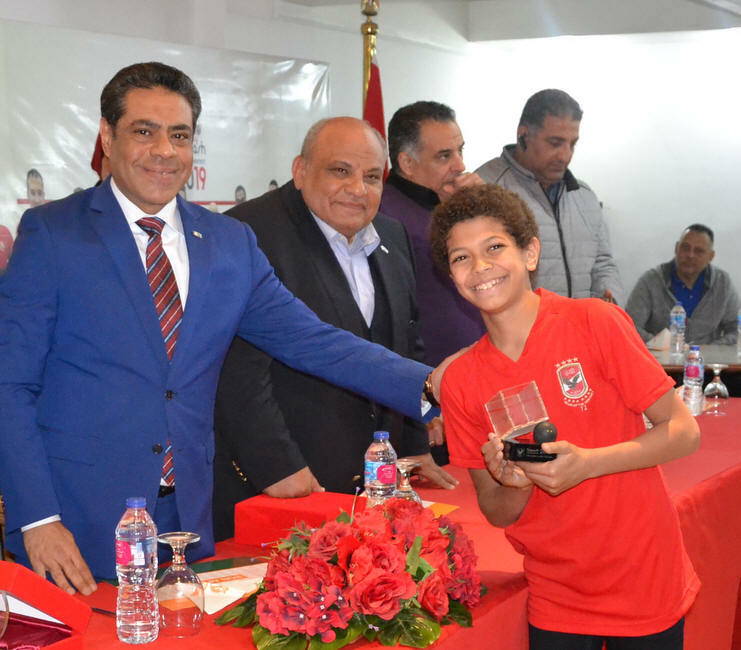 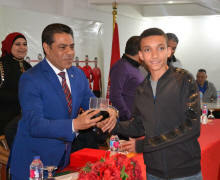 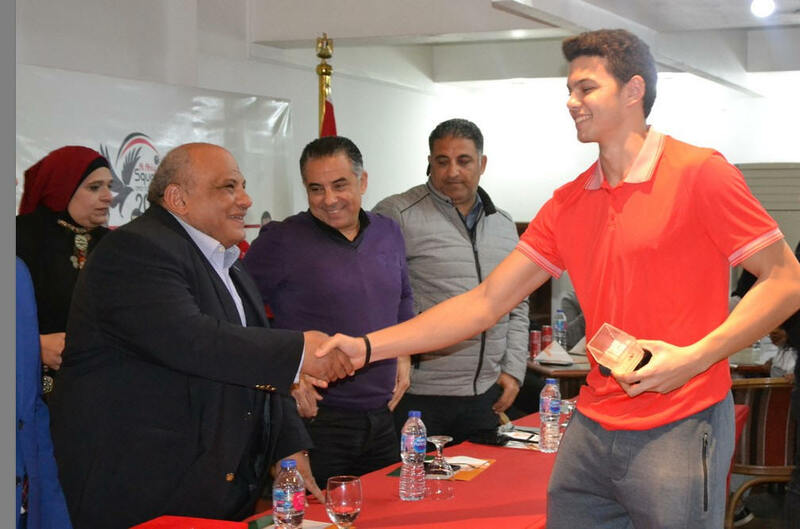 Ahmed Hussein is one year younger than Ibrahim Mohamed I'm told, and I think that's maybe the difference today, as the physic side of the game played a big part today. 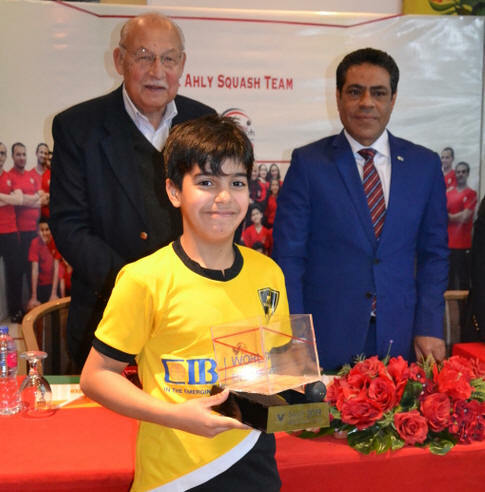 And if Ibrahim seemed to have the match in hand in the 4th, 7/4, the injury break (bleeding knee for Ahmed who kept diving all over the place bless him) gave the younger player the breathing time he needed to recover and frustrate his opponent that thought he had match won. But in the 5th, there was no contest, and it's the taller player that takes the title, 11/3. A last word, I was extremely impressed by the fairness of both players today, and in particular to Ahmed, who right at the end of the match, went for another dive, got the ball, but still called it double. 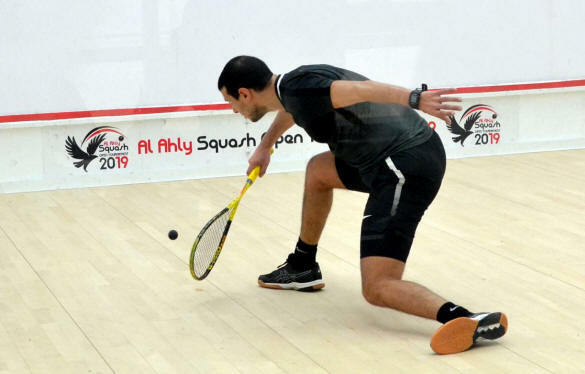 We were a few who believed he actually got it. Hat to you, little Ahmed. 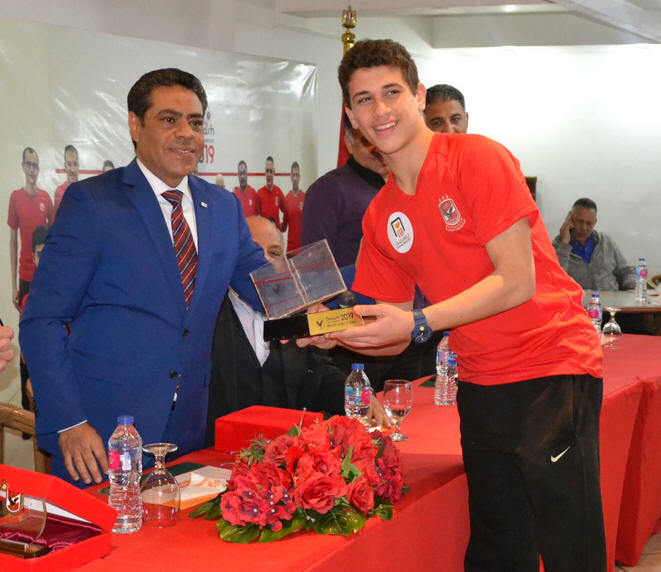 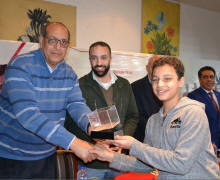 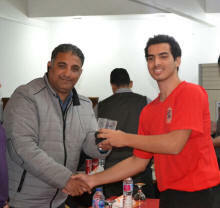 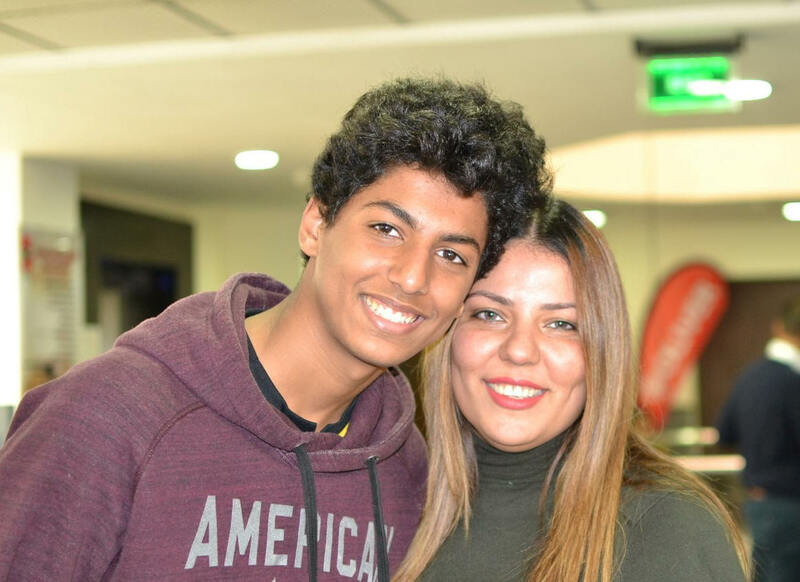 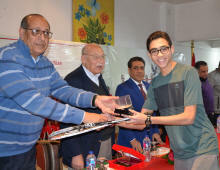 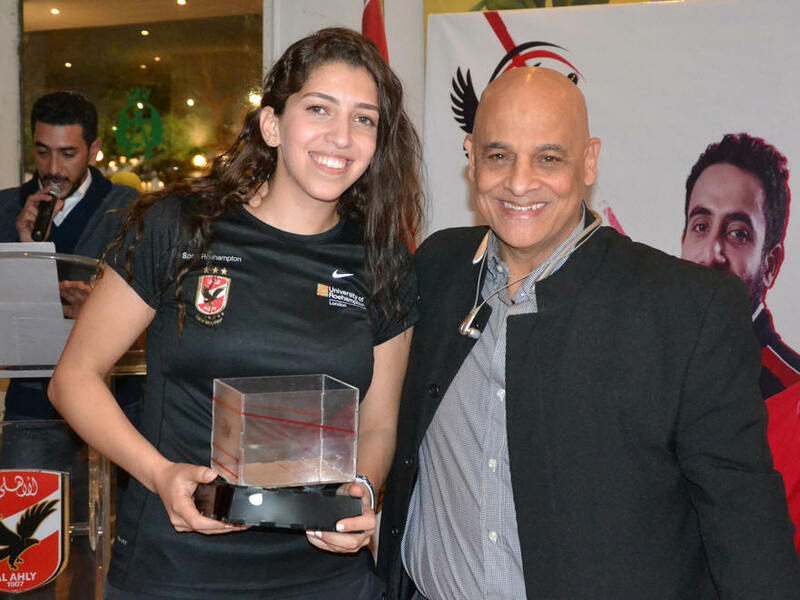 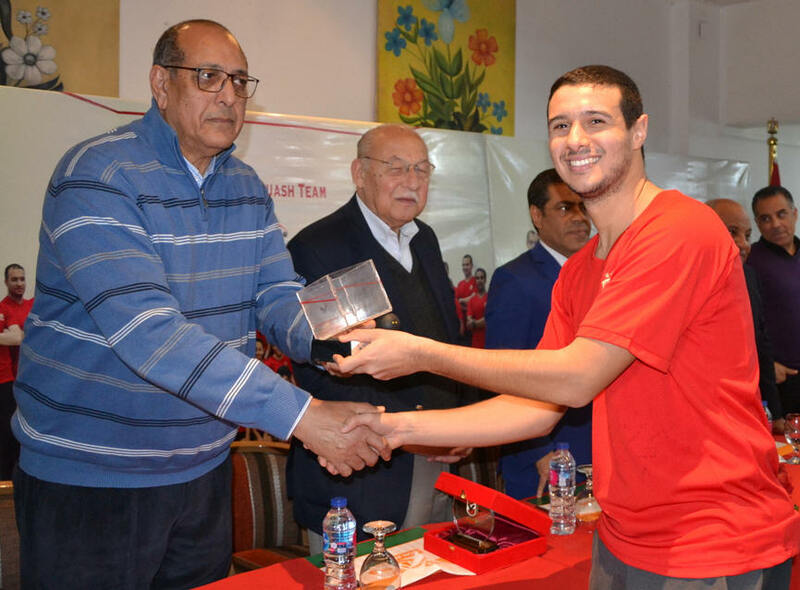 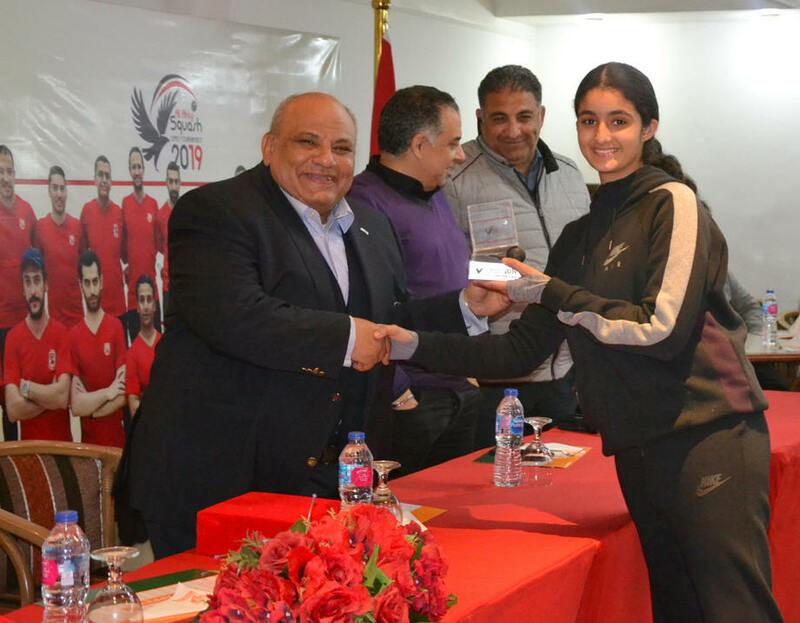 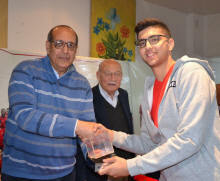 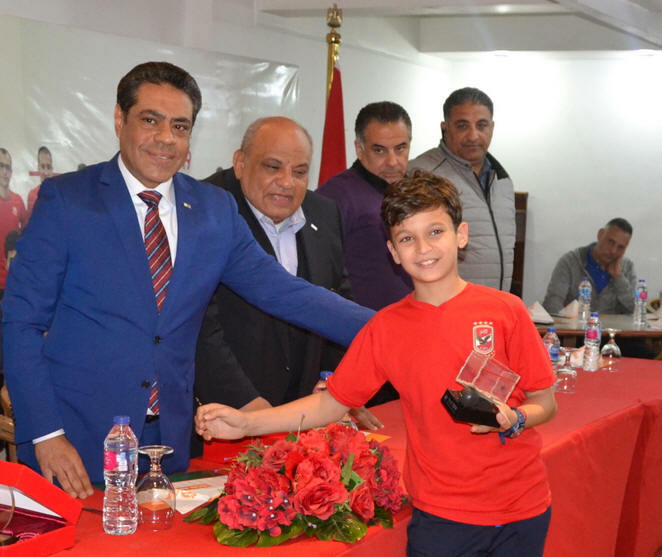 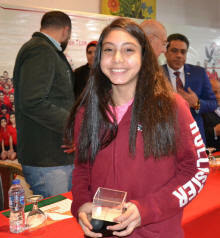 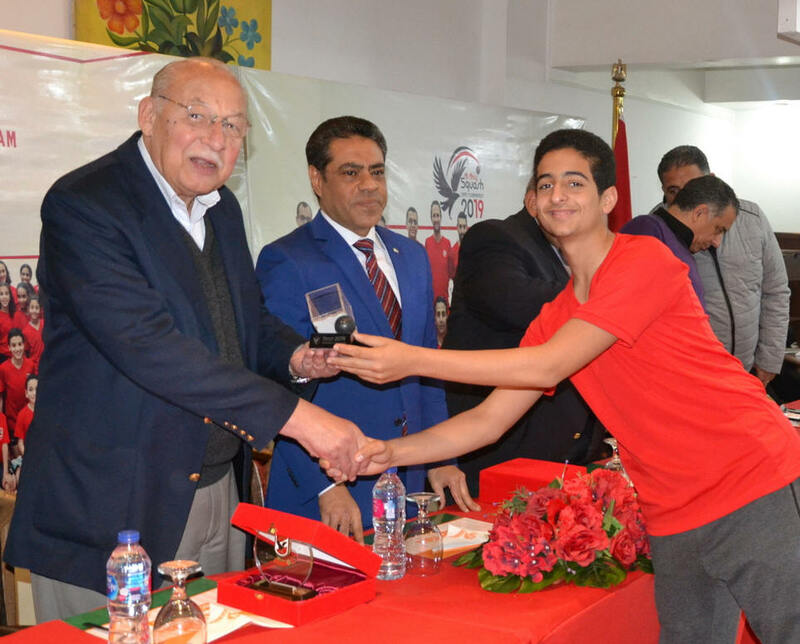 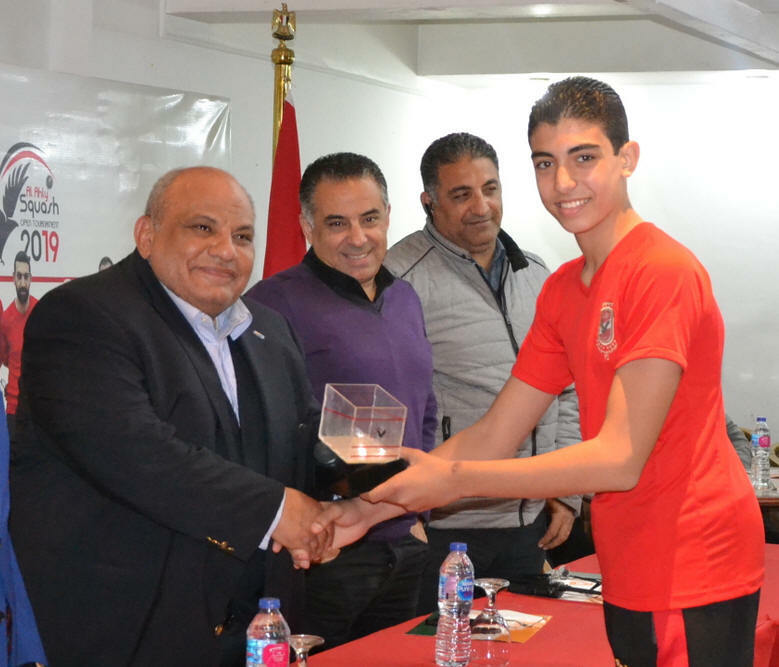 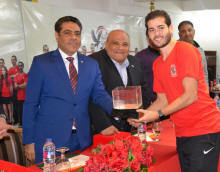 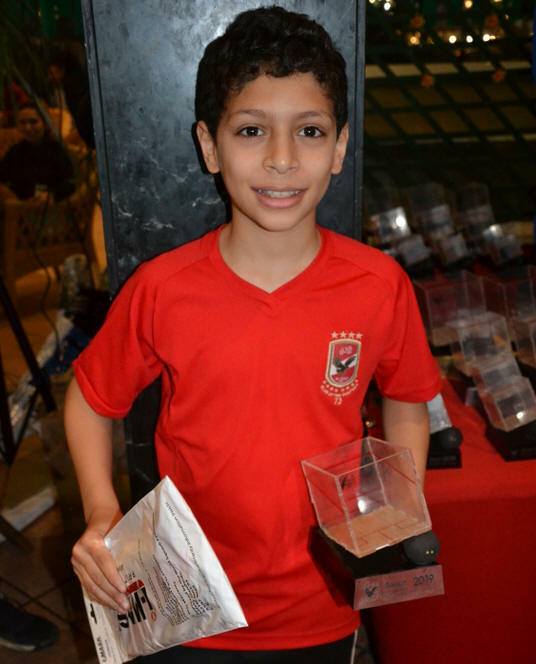 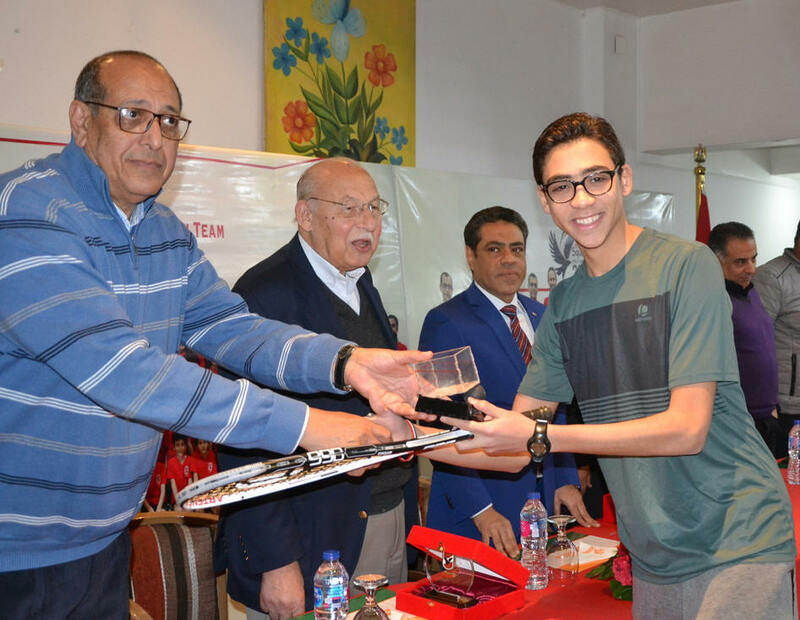 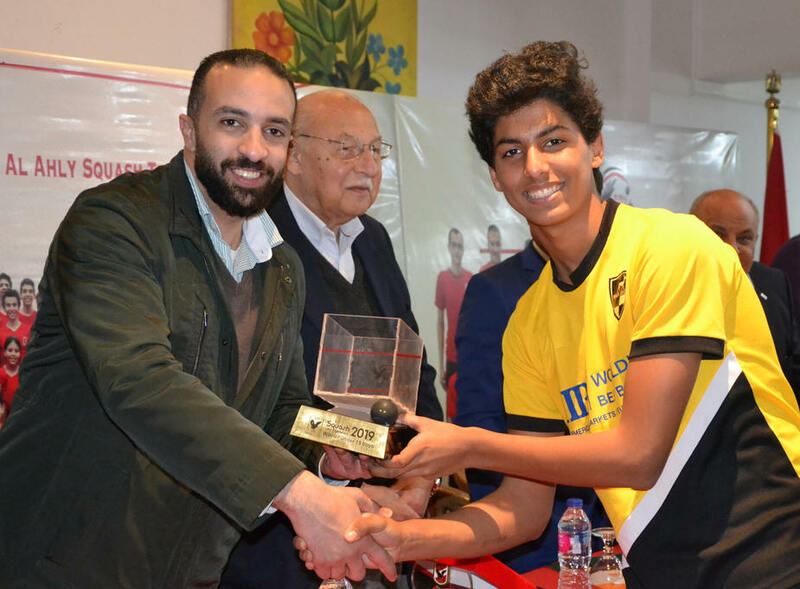 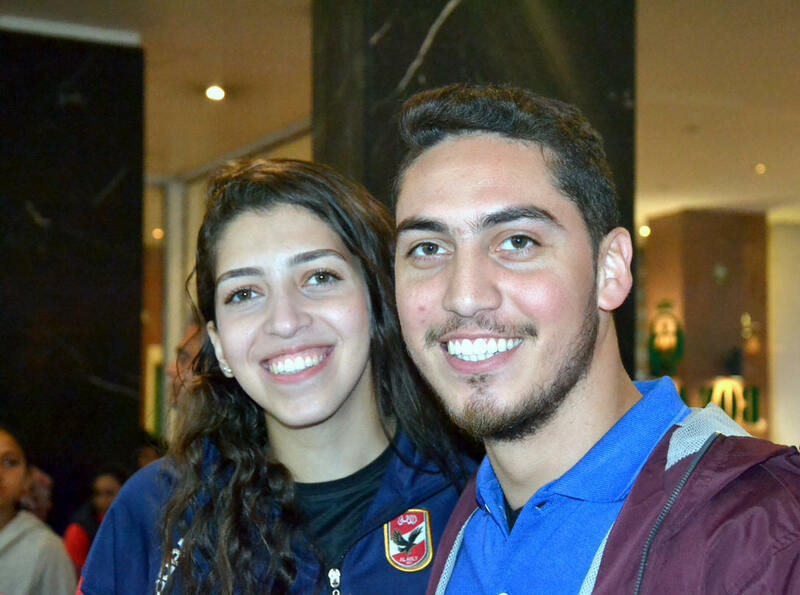 Incredible performances from Sana Mahmoud who managed to win both U17 and U19 competition - like Mostafa Asal did last year in this same tournament - without dropping a game. 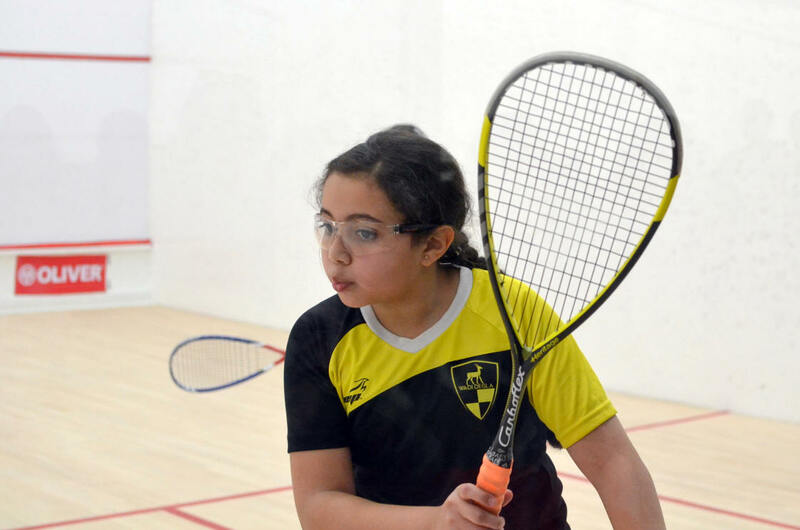 Funnily enough, Nour Elmakarim was the one looking very tired at the start of the match, but she found a much better intensity in the second, but didn't manage to clinch that crucial game. Led 2/0, she didn't have the answers to contain a superbly dominant Sanna today. 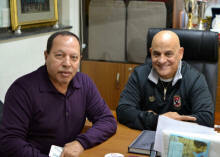 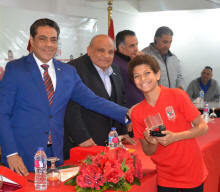 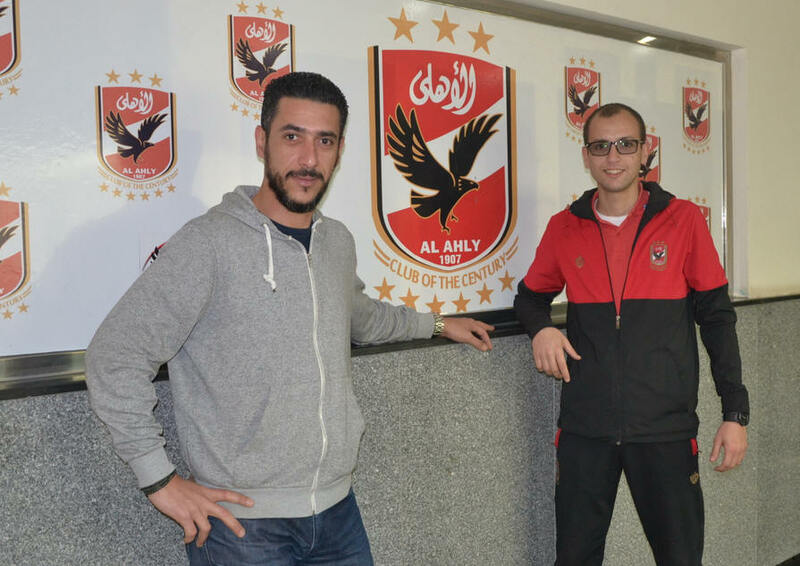 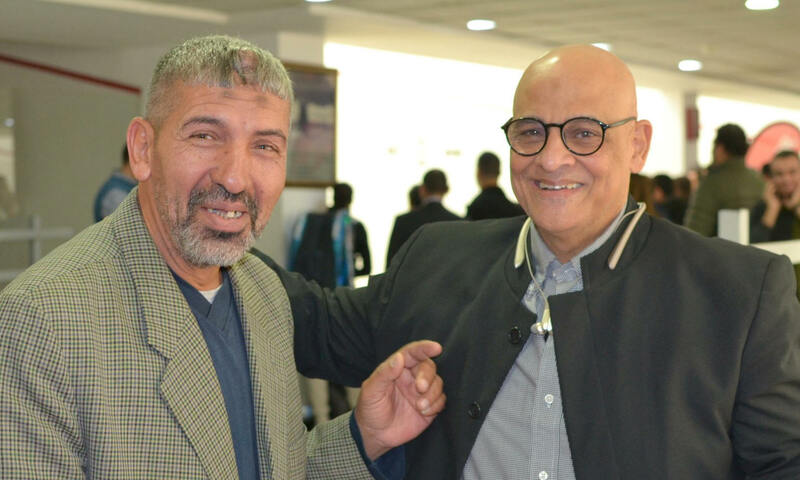 Mostafa Asal, well, did the job. 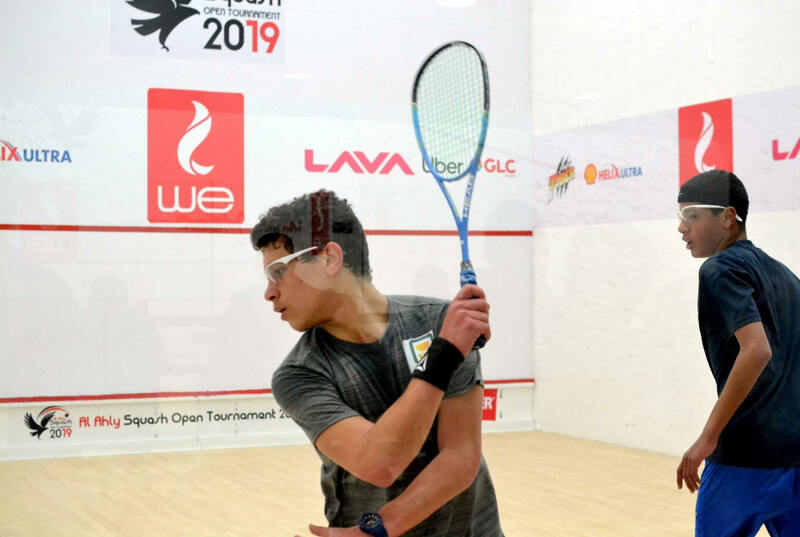 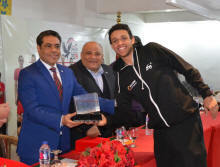 Hazim never stopped trying but was not physically able to put his opponent under enough pressure consistently to really take him out of his comfort game, and it's the World Junior Champ that takes the title again this year. 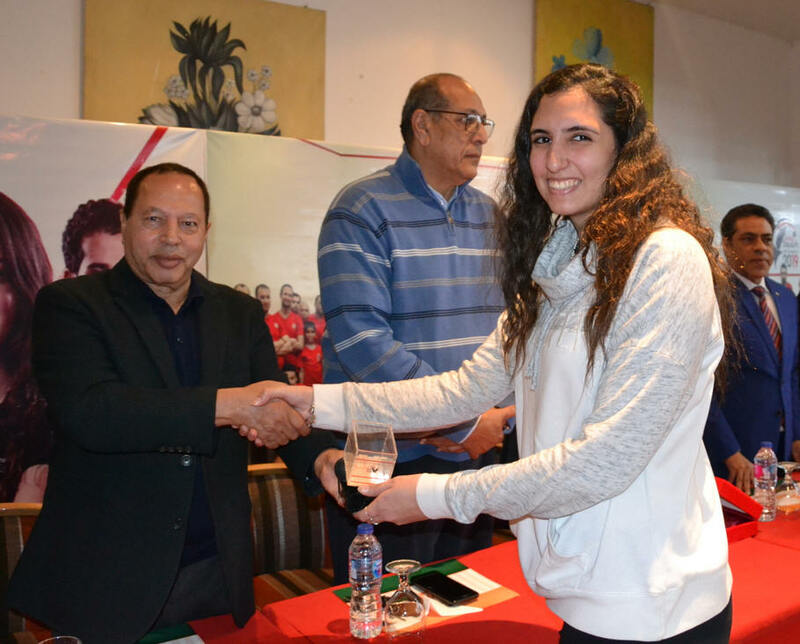 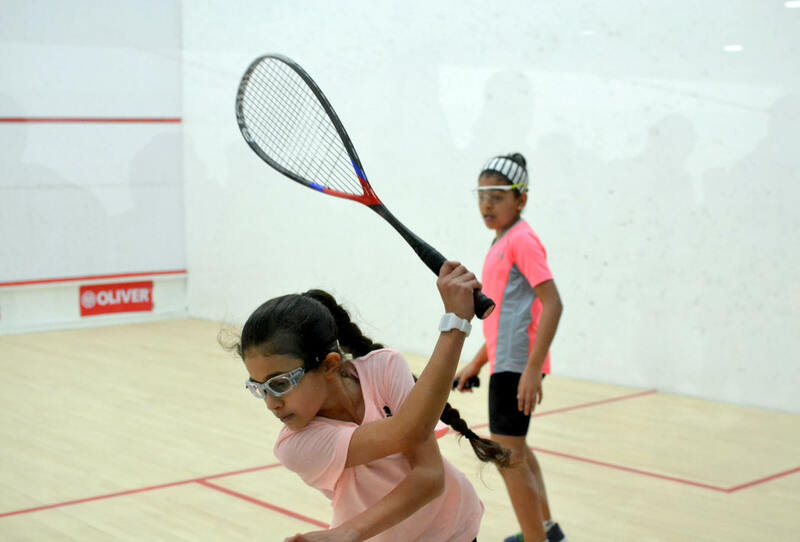 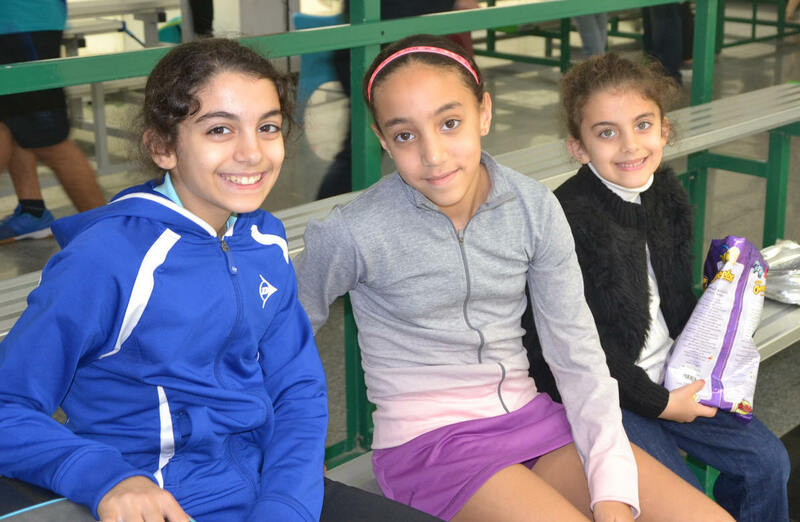 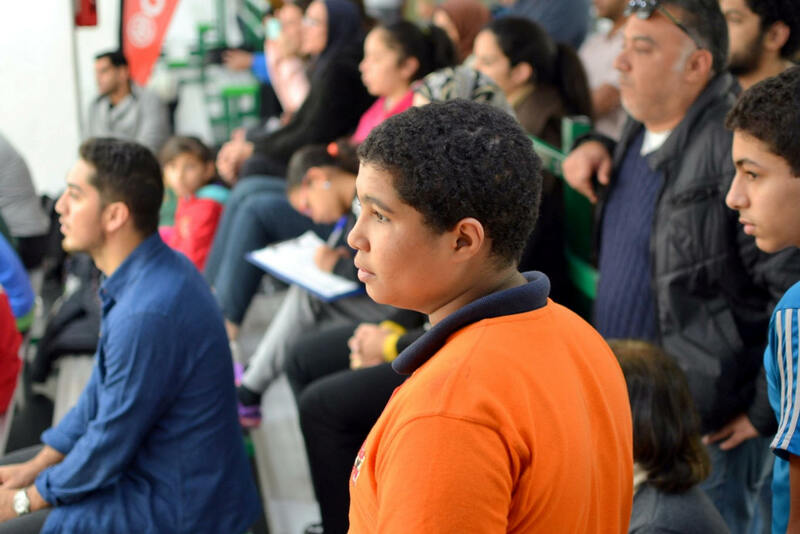 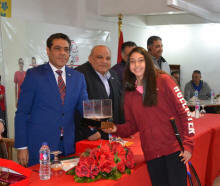 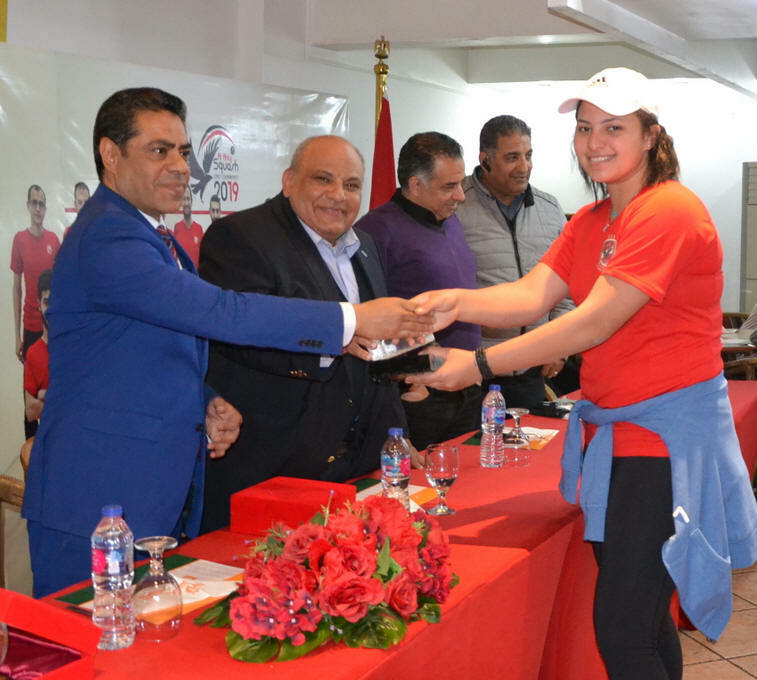 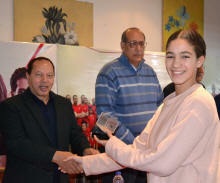 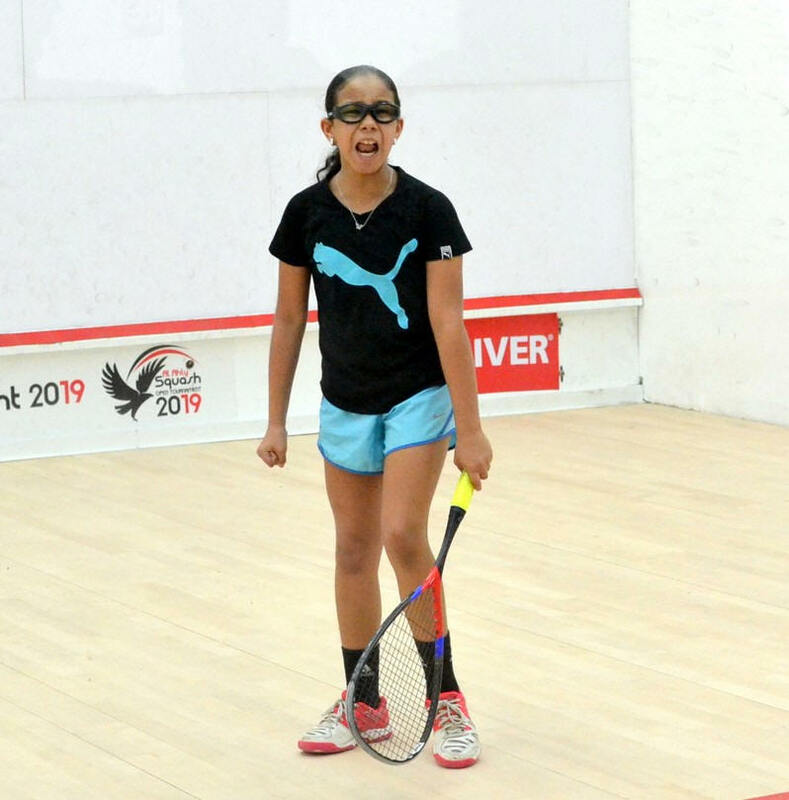 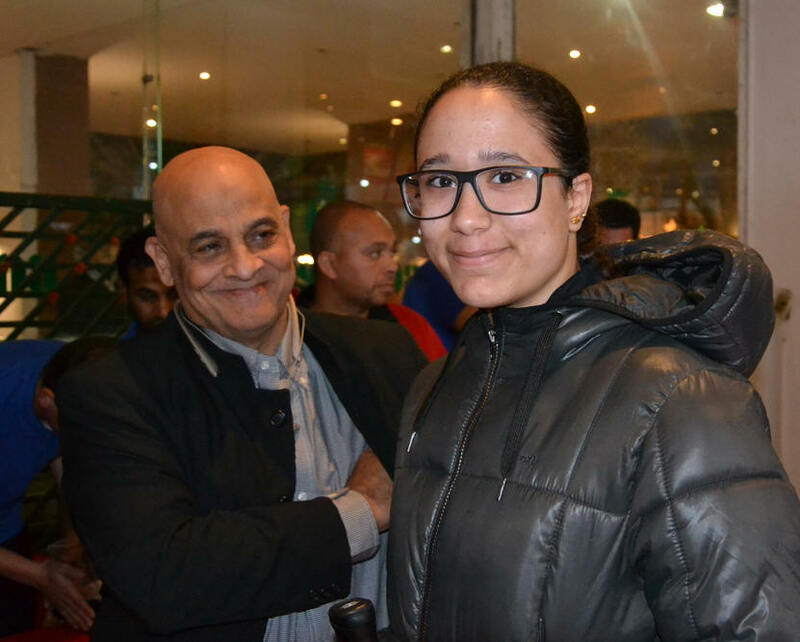 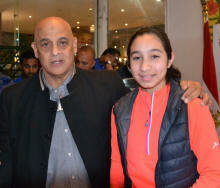 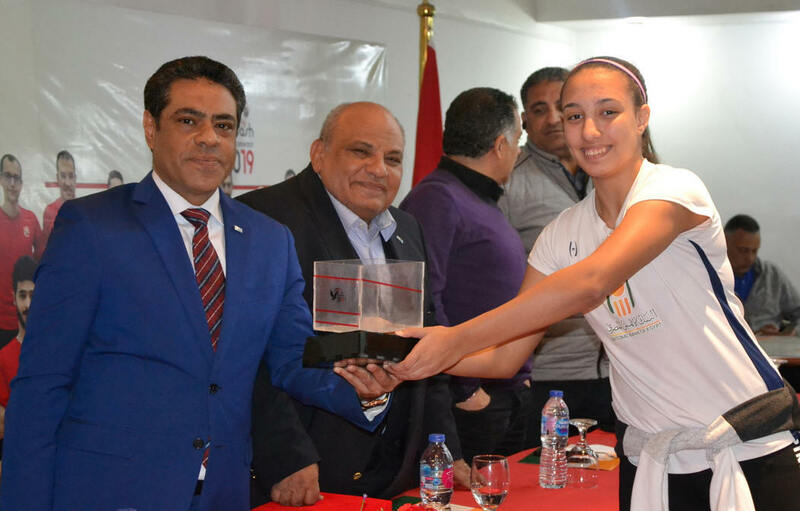 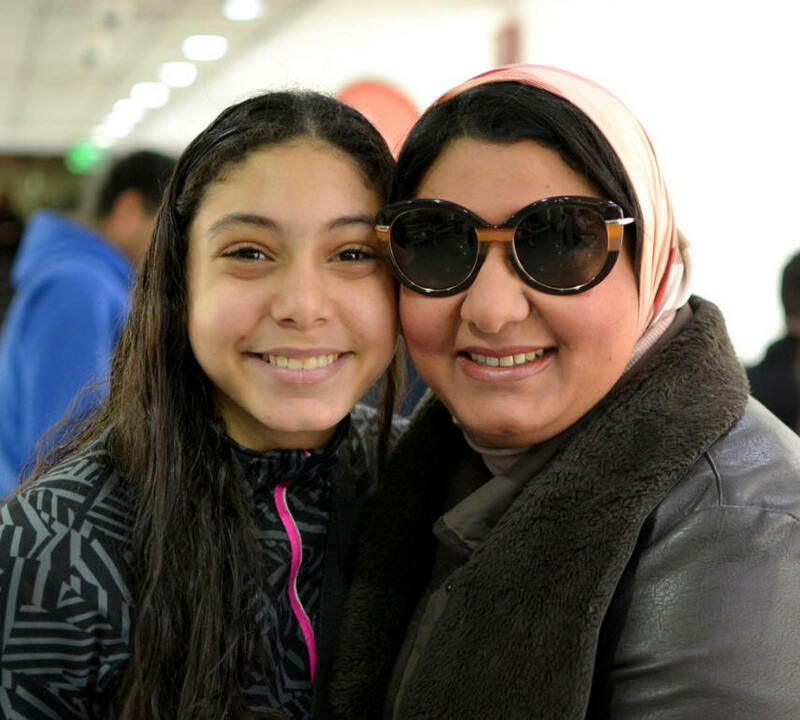 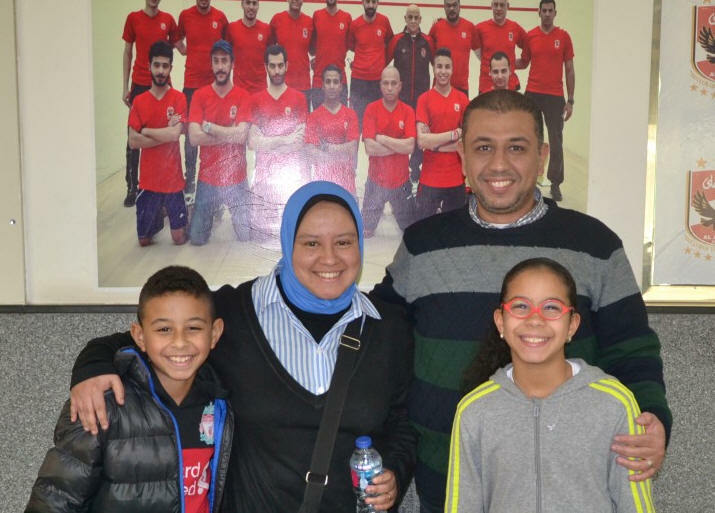 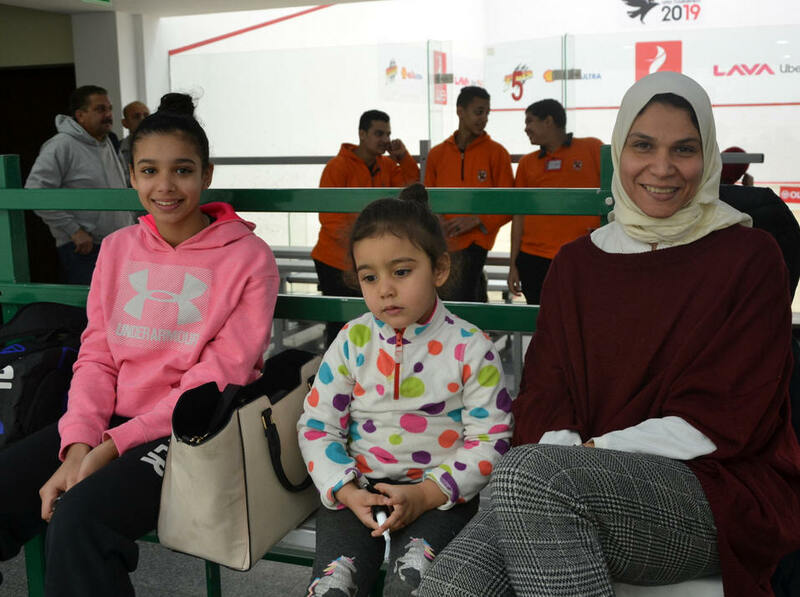 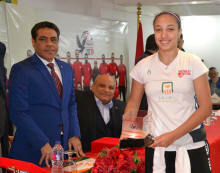 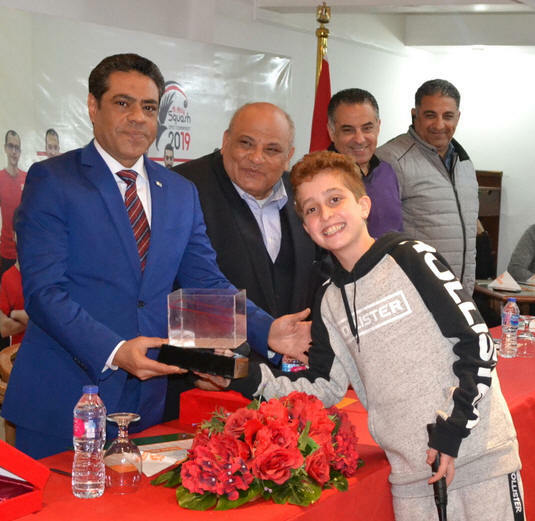 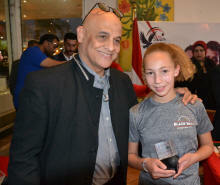 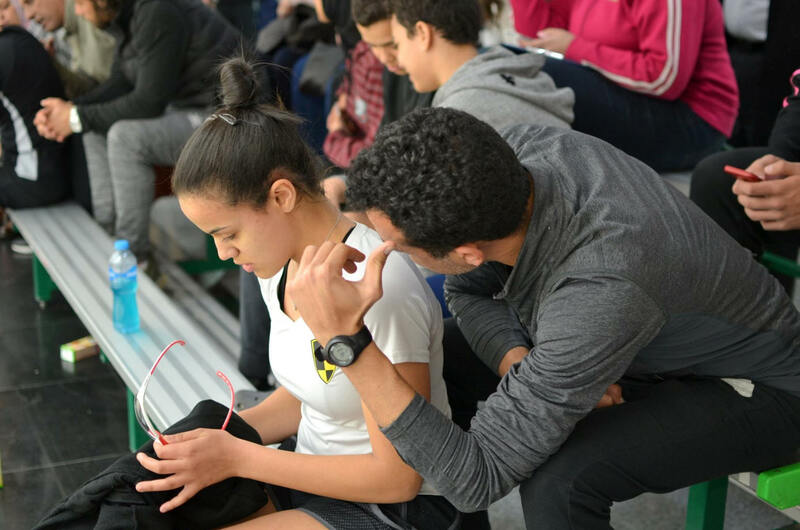 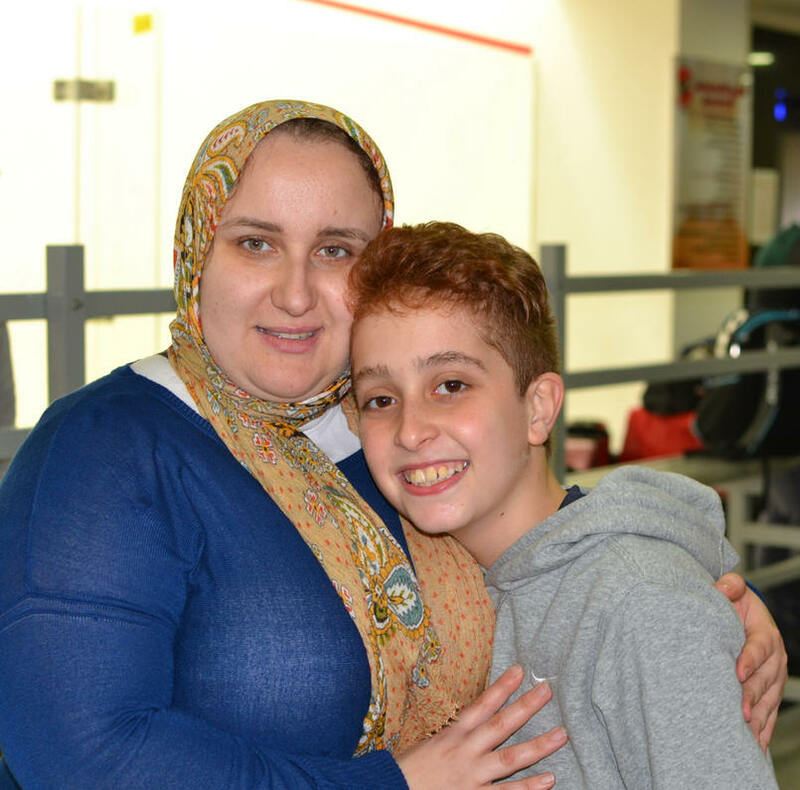 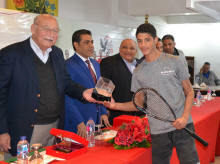 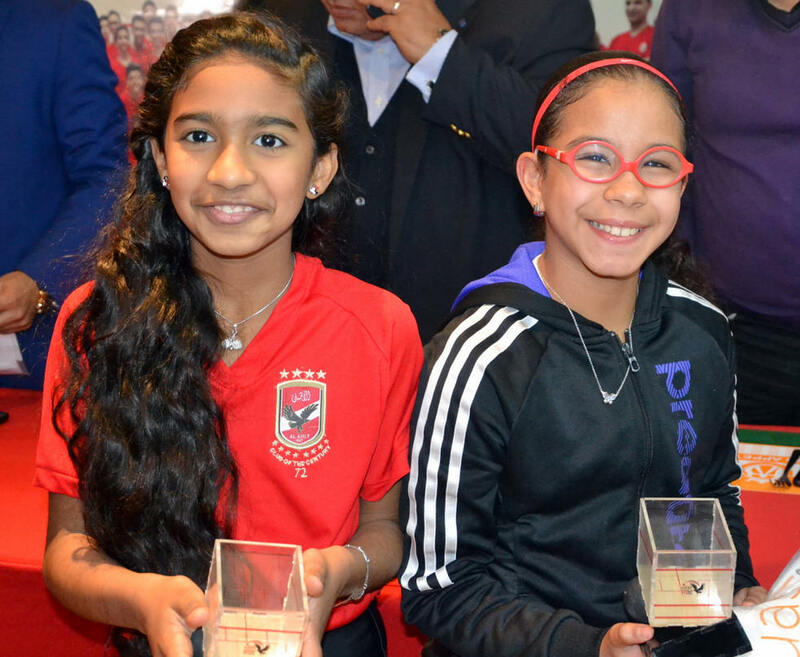 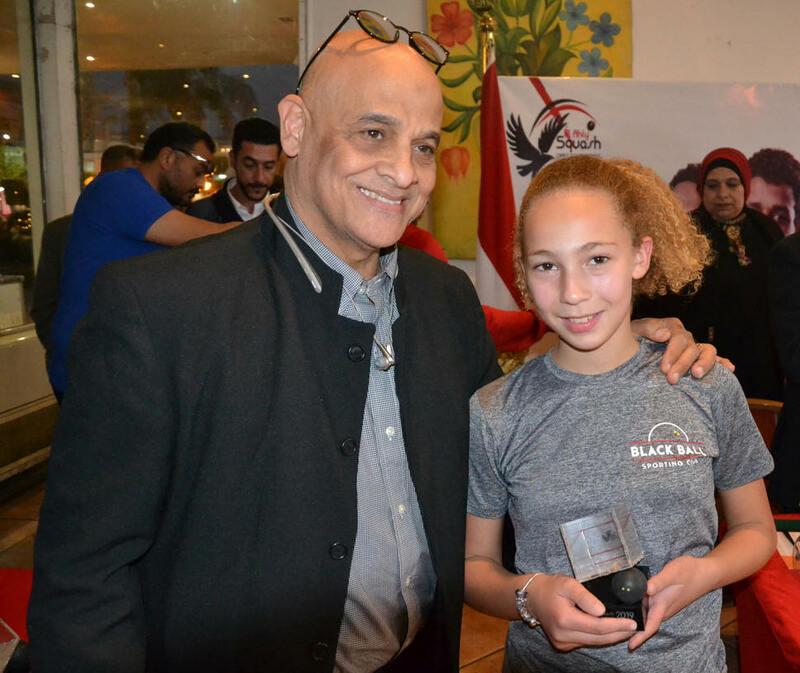 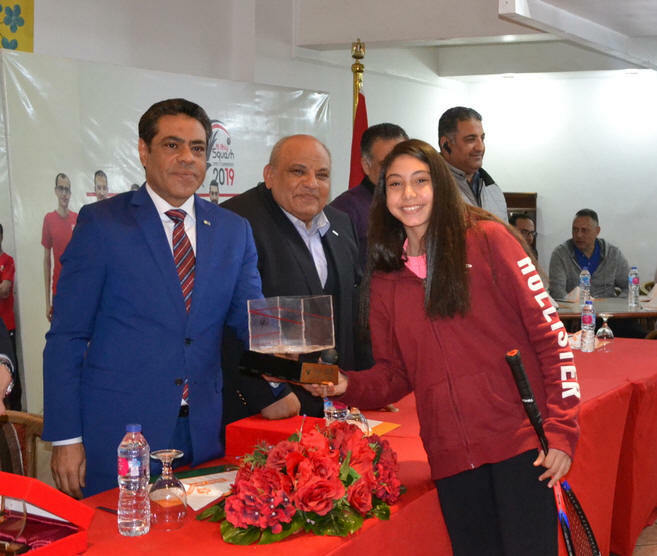 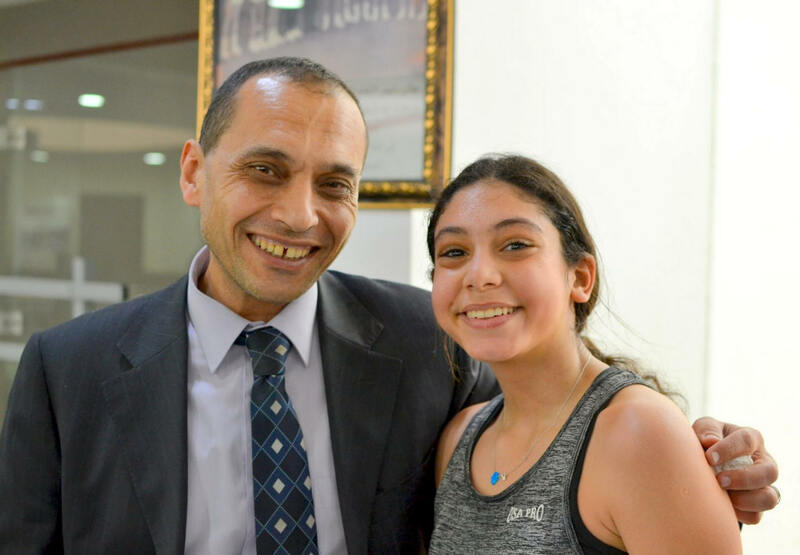 If Farida Walid Khalil had not too many troubles with Tia Shehata who had a big match yesterday, Rokaya Selim had to work very hard to finally clinch the match 15/13 after losing the 4th 14/12!Little Aysel Ahmed was heart broken of course but she can be very proud of her tournament. 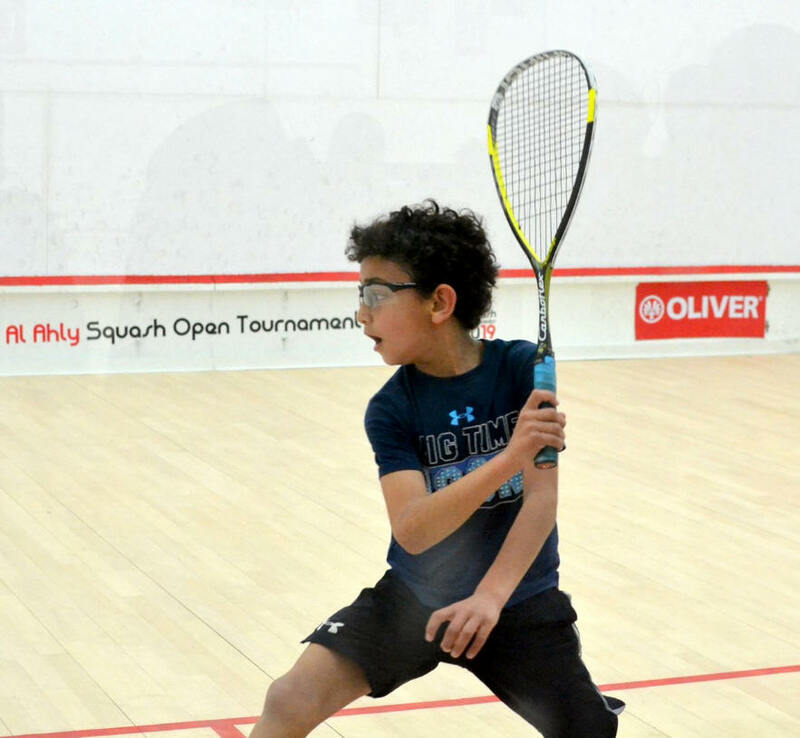 For the boys, Seifeldin Dashan won 3/2 against young Marwan Assal, he was down 2/0 but managed to claw back and took the 5th 11/4. 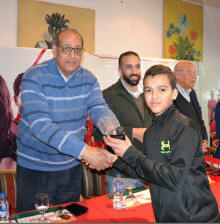 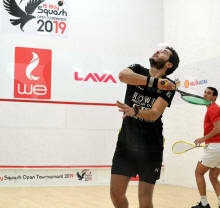 While if Ali Rahma won 3/0, it was not a simple task, 12/10 14/12, with a lot of interaction from the crowd, supporters, ref... 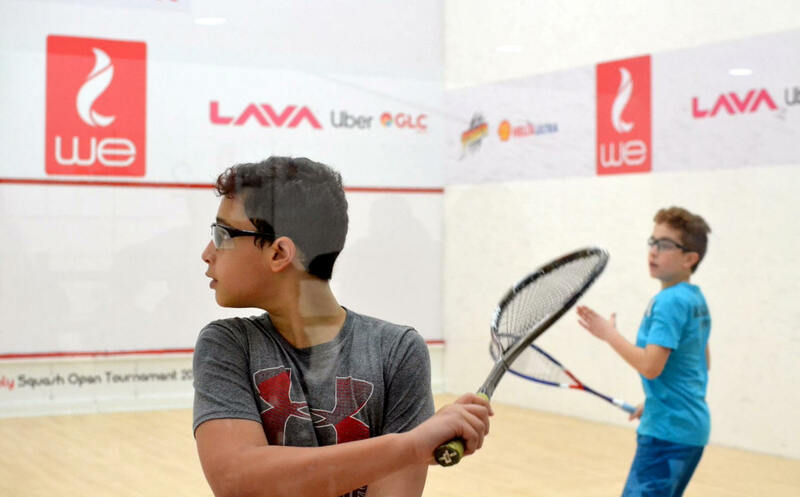 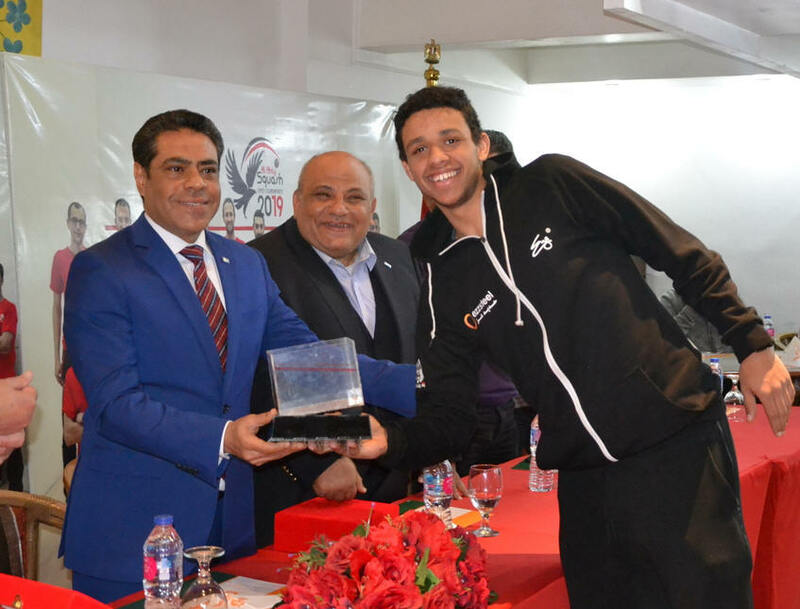 Typical intense Egyptian local event!! Amina Orfi, BJO Champion of her category, didn't take any prisoners today and quickly got to the final ousting Hanna Al-Ashry 3/0, while Malak Aly tood a bit more time and a second very hard fought game, 17/15, to overtake opponent Zeina Ayoub. 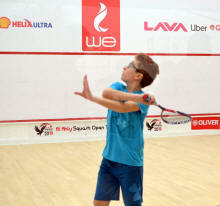 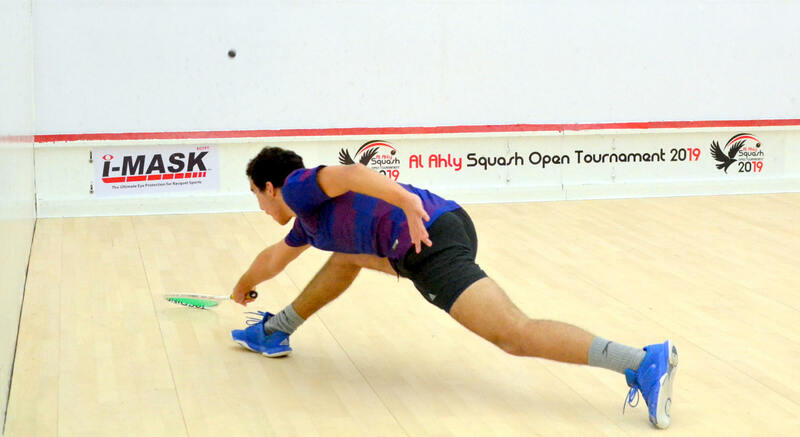 Hamdy clinched the third 12/10 to lead 2/1, but Yosef managed to claw back to 2/2. 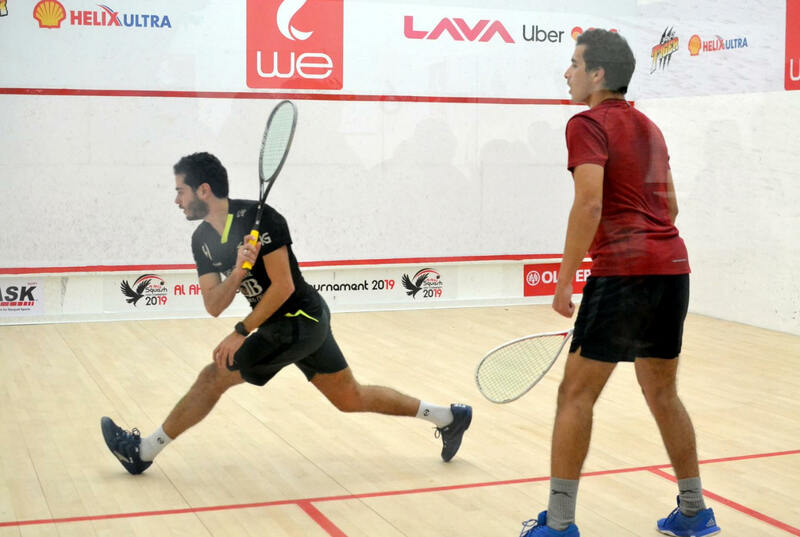 He took a comfortable lead in the 5th, 9/3 and was able to contain a come back from his opponent, that looked fresher at the end of the match! But it's finally Yosef 11/5. 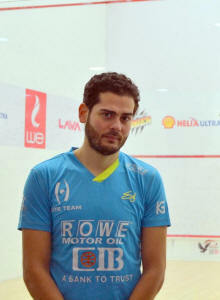 Missed Fairouz/Malak match completely, HOW??? 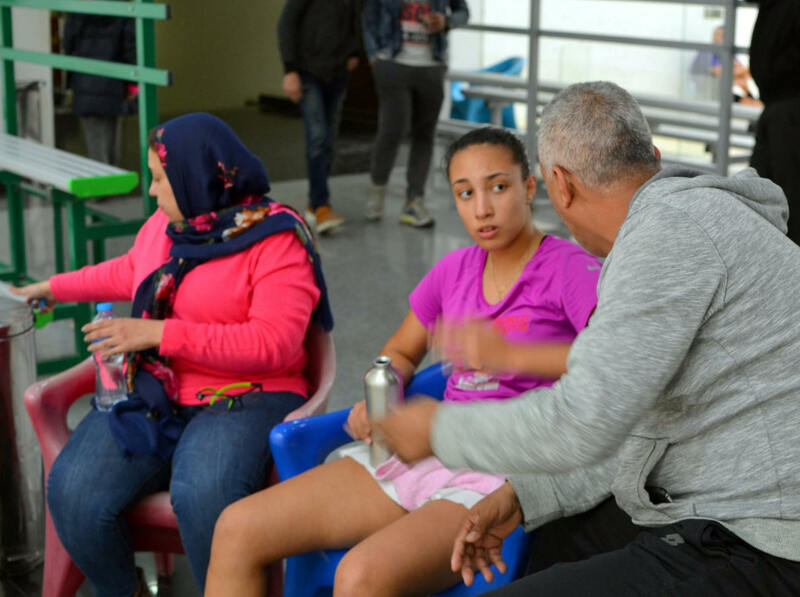 A five setter for crying out loud, and I won't have a single photo.. All my apologies to both girls I really love watching playing... A simpler affair for the other one, Haya Ahmed 3/0 to Hanna Ismail and who plays Fairouz tomorrow in the final. 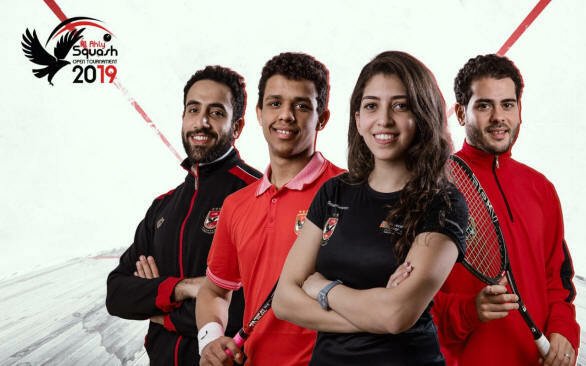 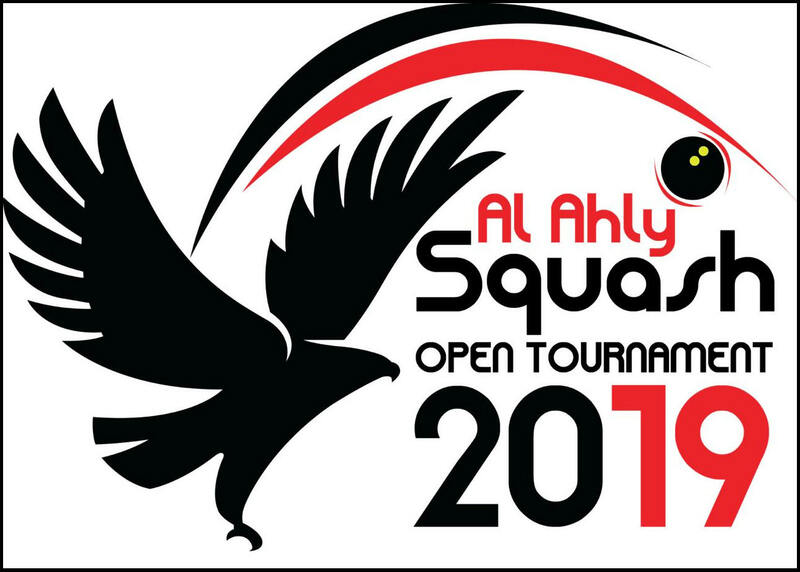 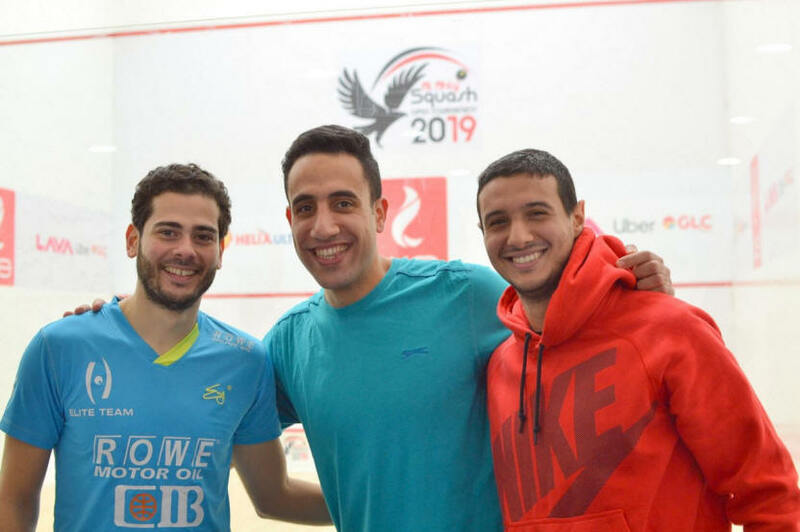 For the boys, two hard matches, Sohail Elshenawy getting the better out of Yosef Asheeba in a superb battle in 4 games, with both players leaving everything on the court, and another hard one between Abdalla Amr Hafiz and Omar Azzam. 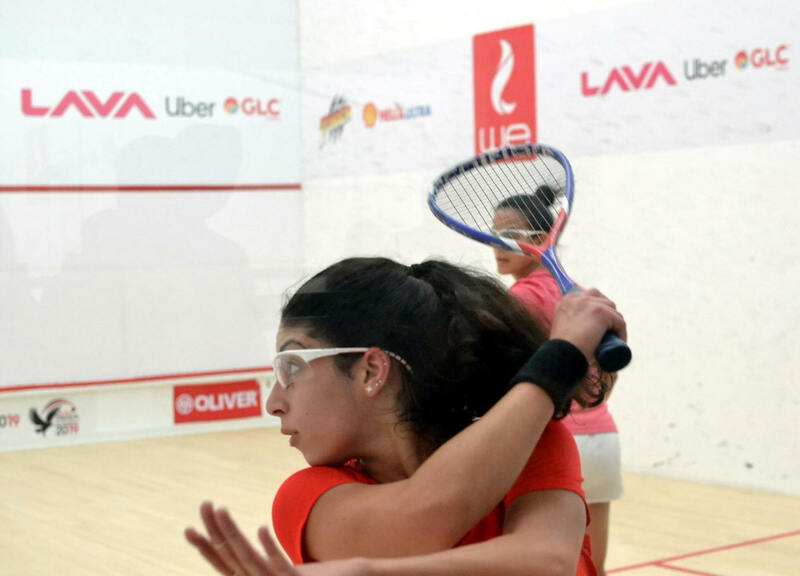 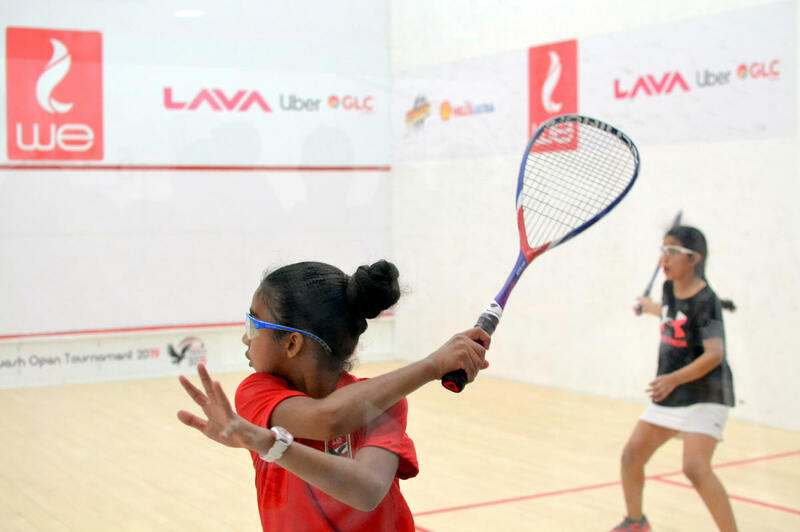 Again, very contrasting semis, this time for the girls, with Sana Mahmoud going quickly to the final in 3 against Kanzy Saber, while Salma Amr had the match for her life today! 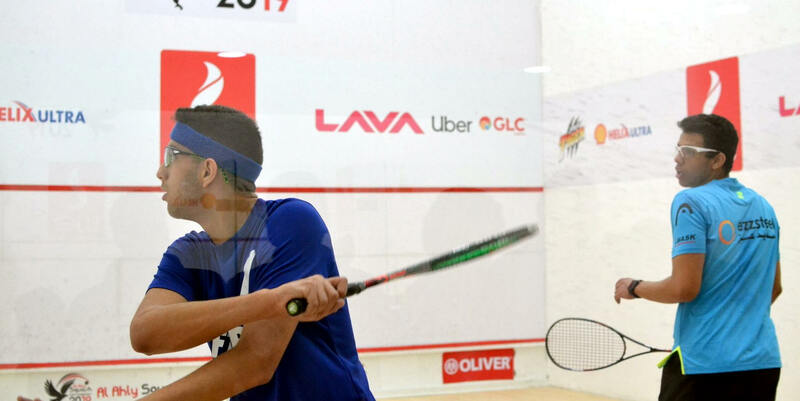 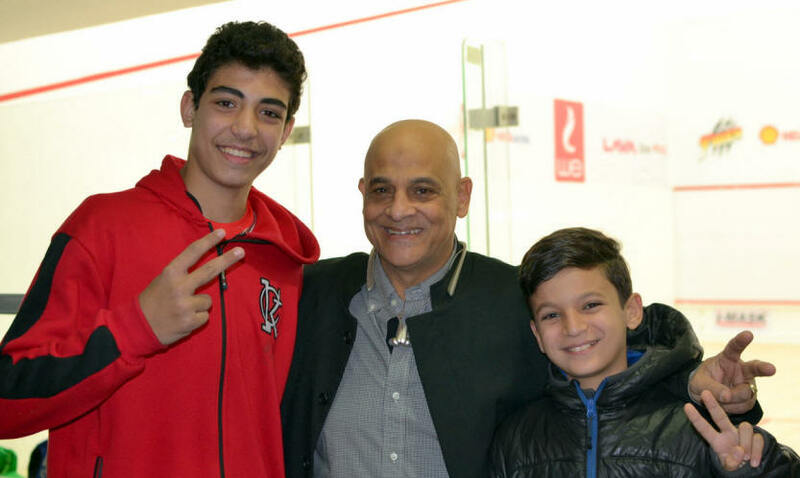 For the boys, Ibrahim Mohamed goes through 3/0 against Mohamed Abdelmoneim, while Ahmed Hussein took 1 more game to get to the final against Yosef El-Sherif, 3/1. 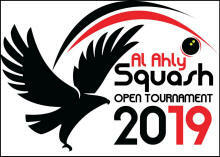 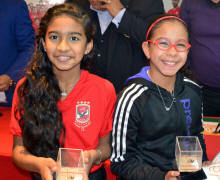 Nour Elmakarim was the favourite against Amina Alrehany but it was a close match, closer I feel that the score tells. 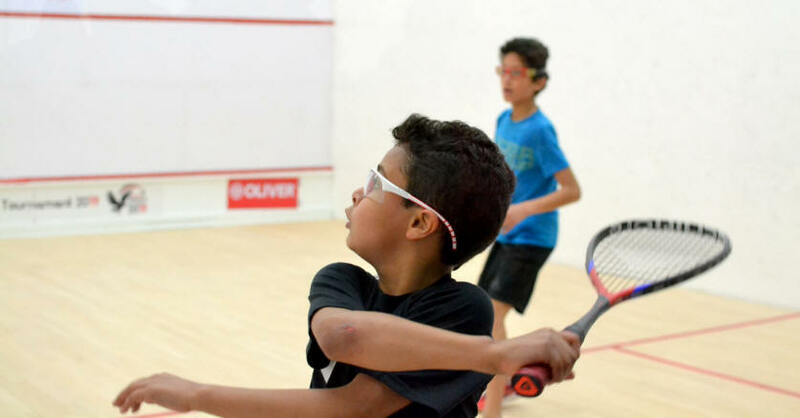 Intense rallies and good squash all around. 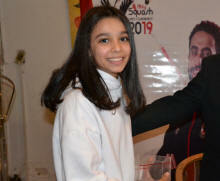 Sanna Mohamed closed the night - the last match on, sorry I had gone to sort out the photos that just won't upload from the club - and had a quick win in 3 against Haga Khalil.